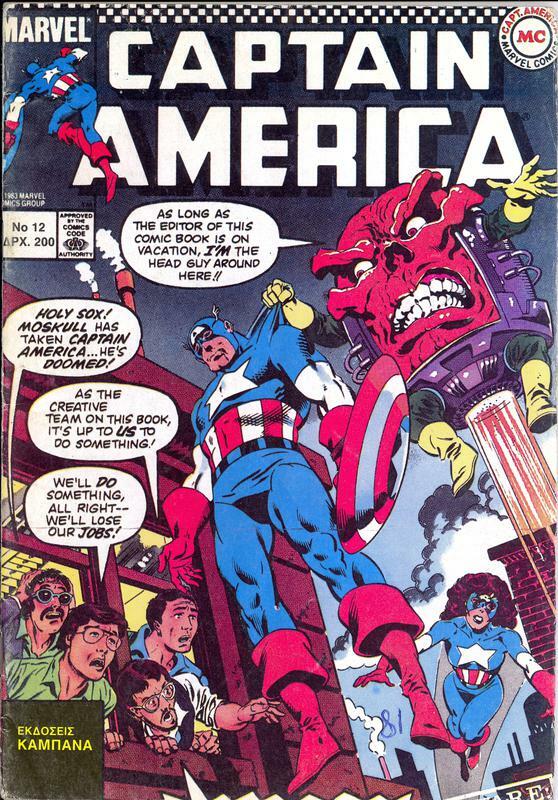 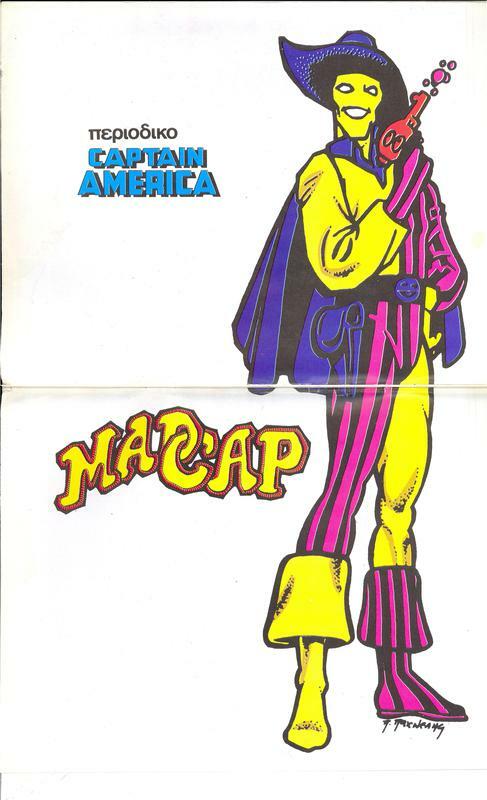 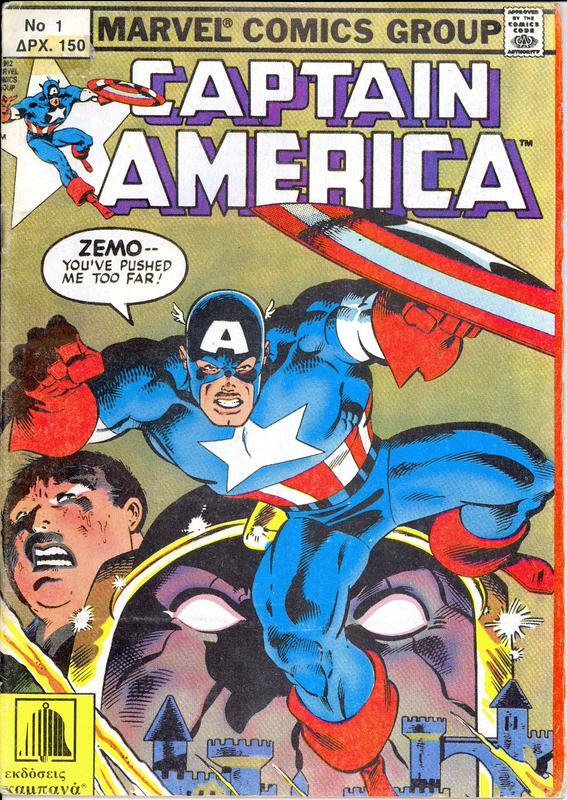 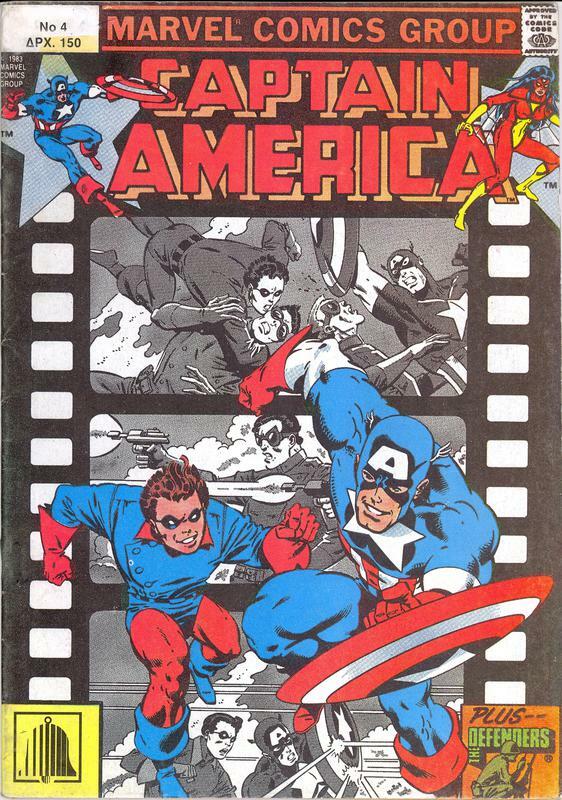 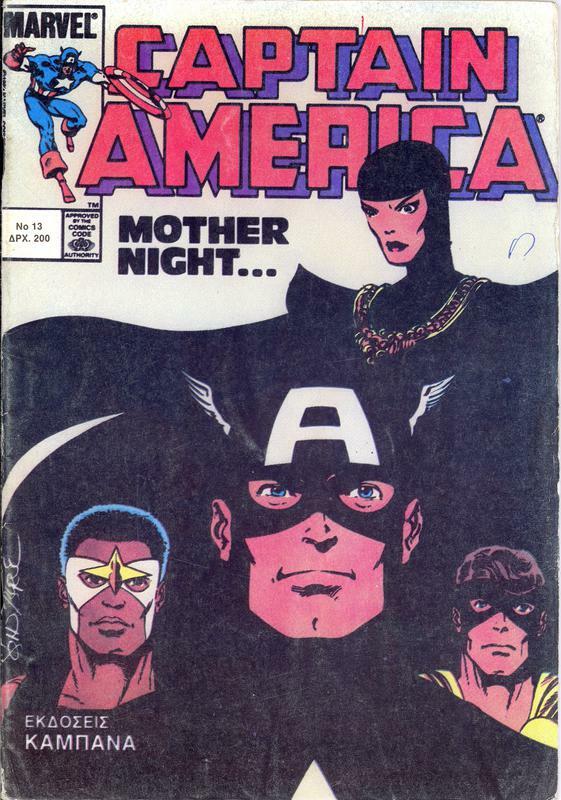 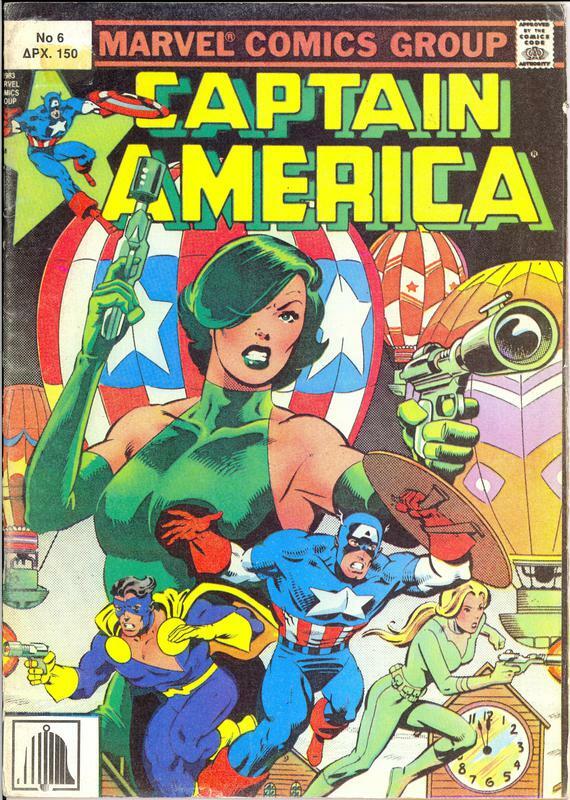 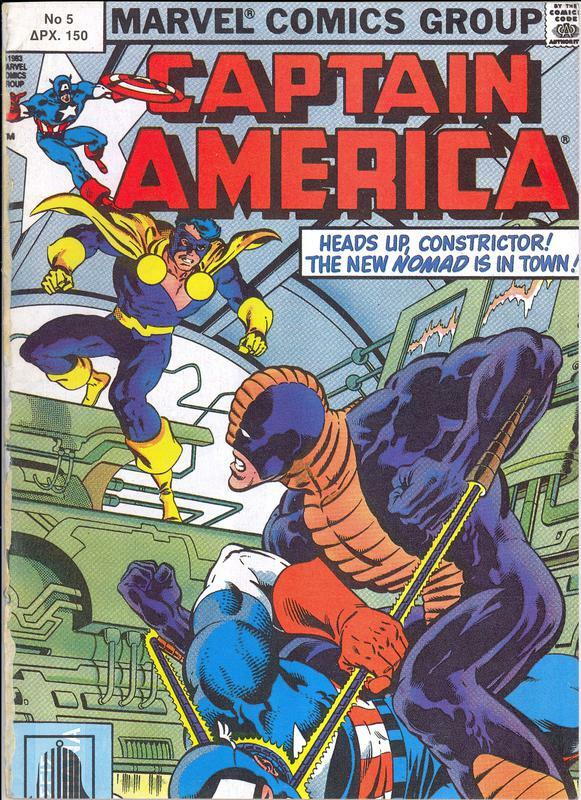 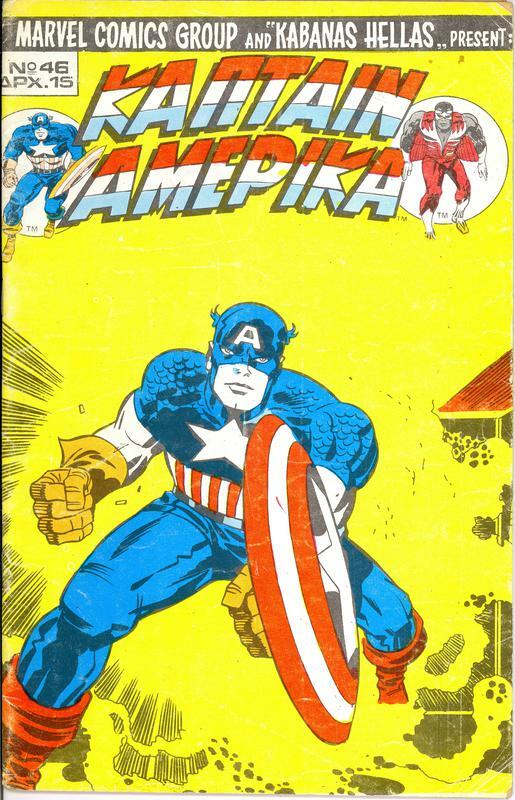 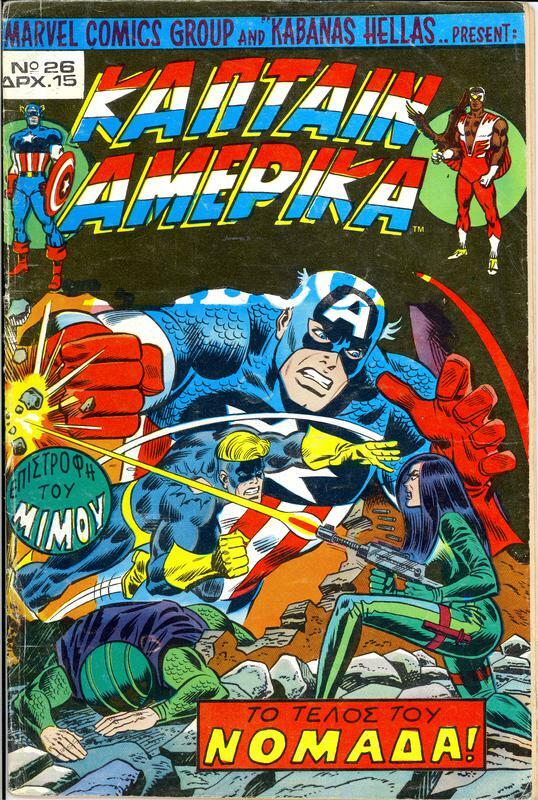 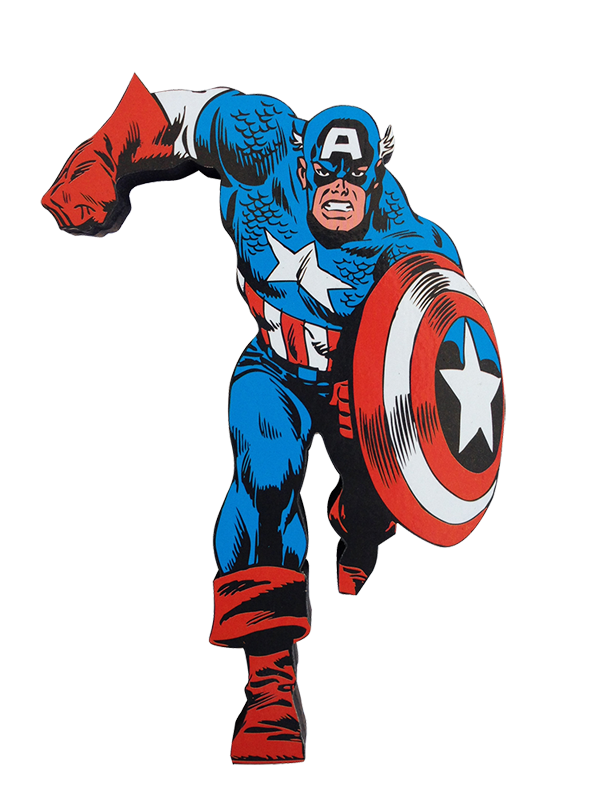 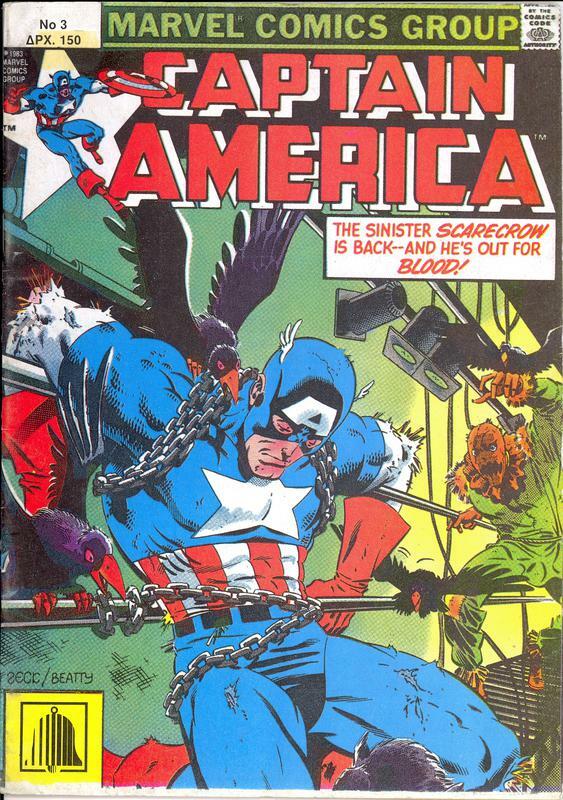 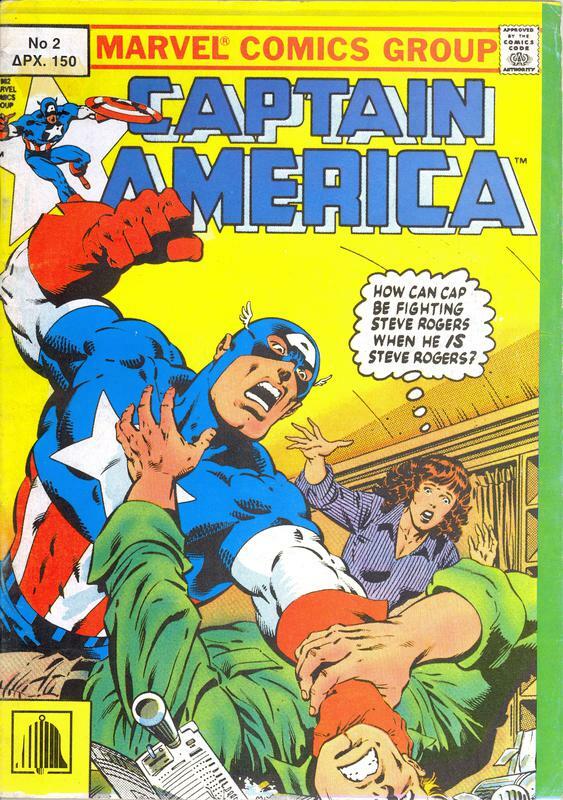 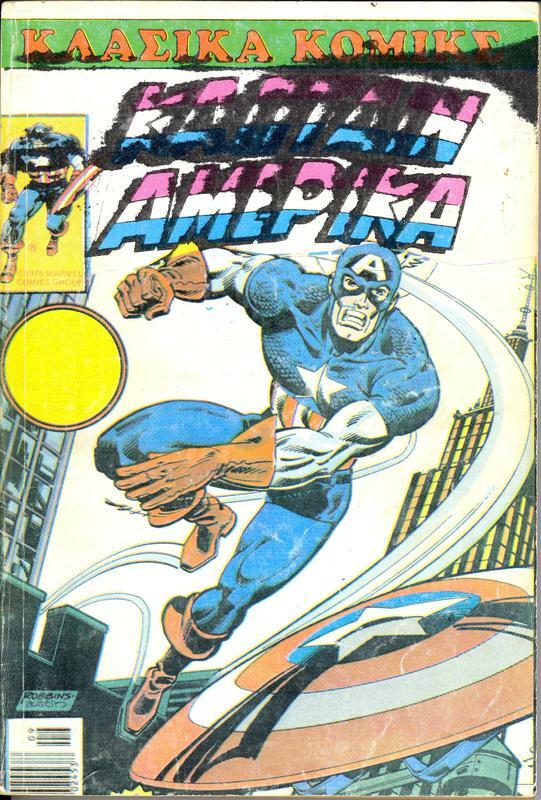 Here's the almost complete '70's and complete '90's run of Captain America. 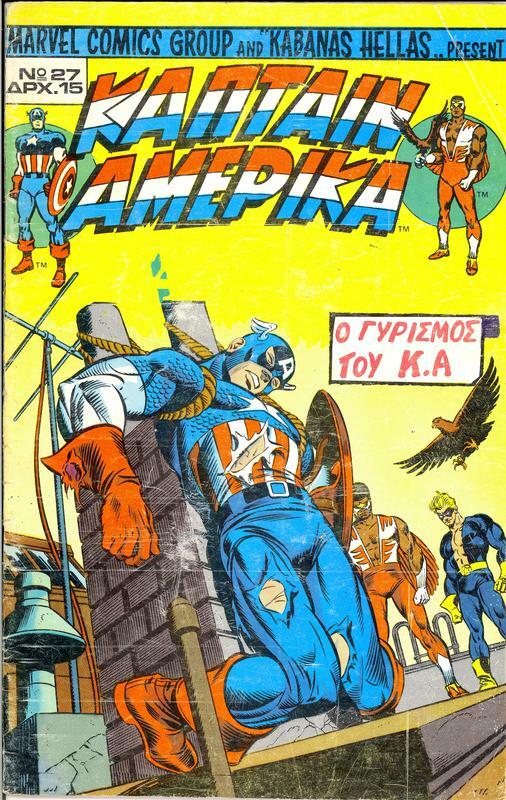 Published in Greece by Kabanas Hellas, a publisher who ran out of steam and finally collapsed. 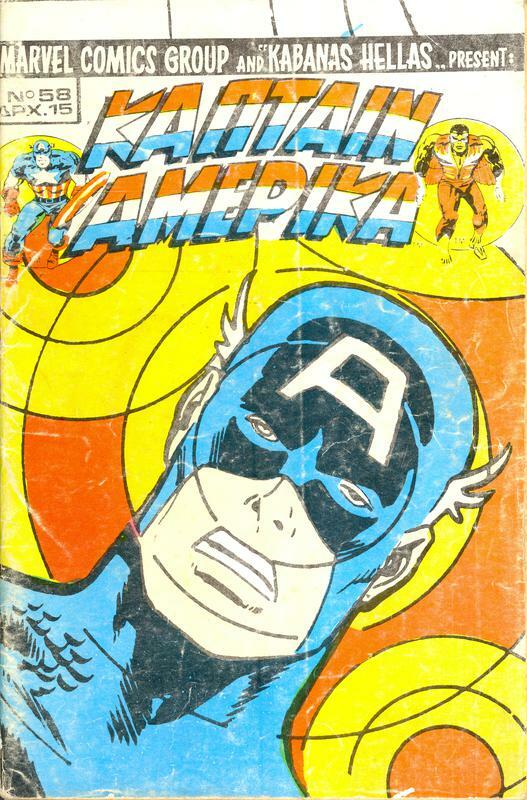 The deterioration can be seen especially on the covers of the '70's run, as panels from the interior of the book are blown-up to make new covers with an amazing disregard to colours chosen and colour registration. 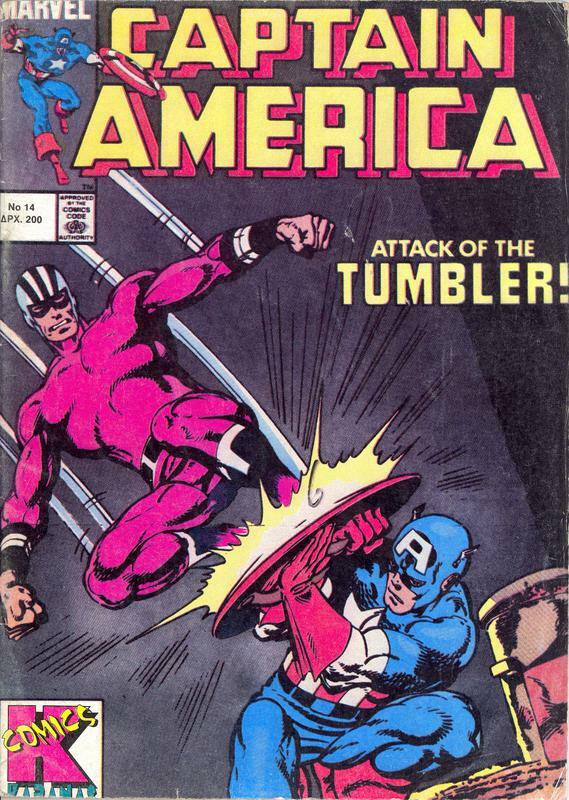 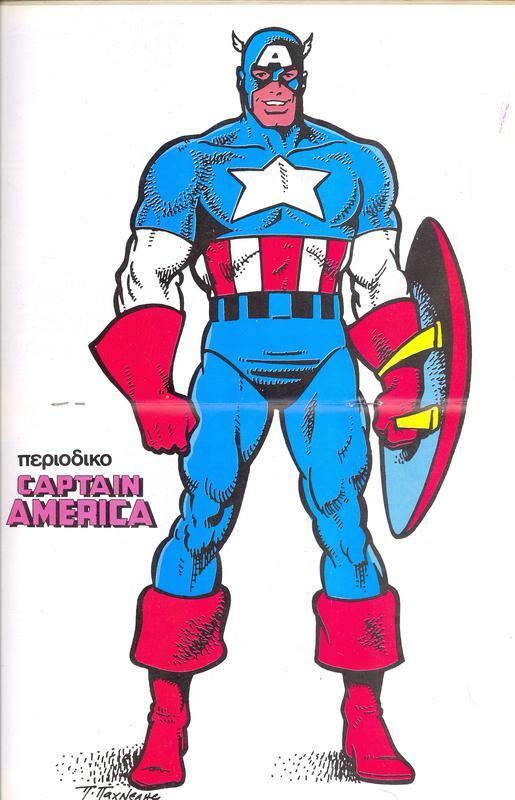 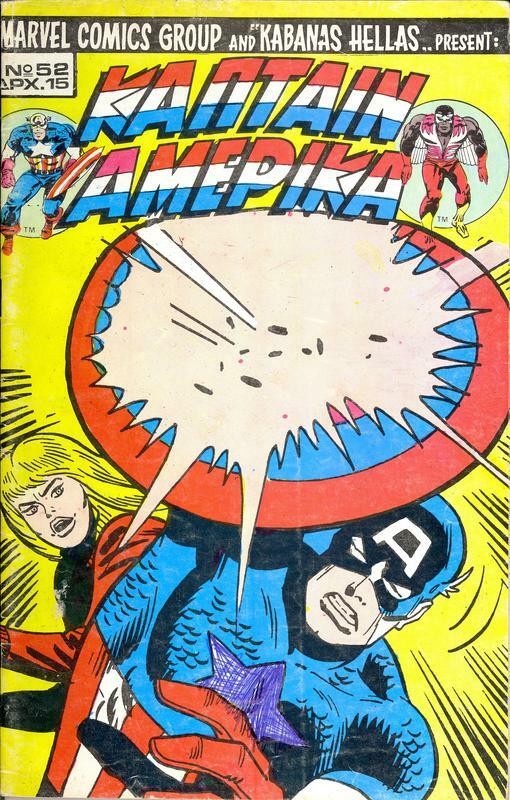 My personal fave is #53, where Cap's lipstick (wait!?!? 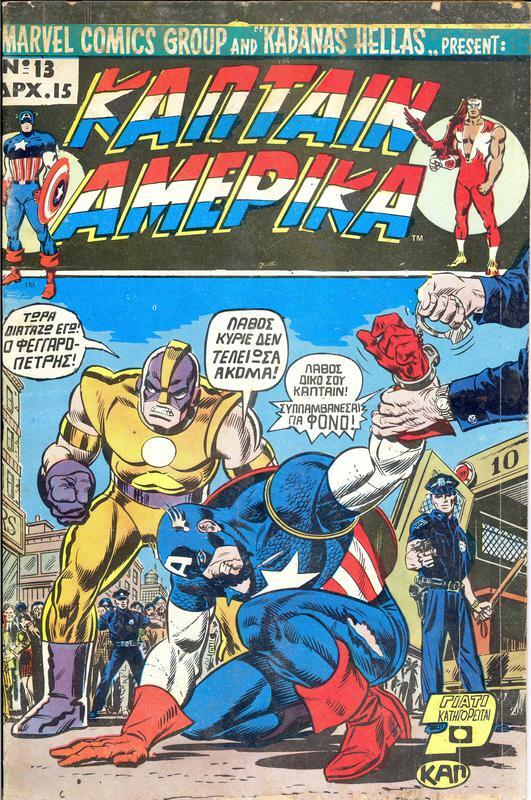 whut!?!?) 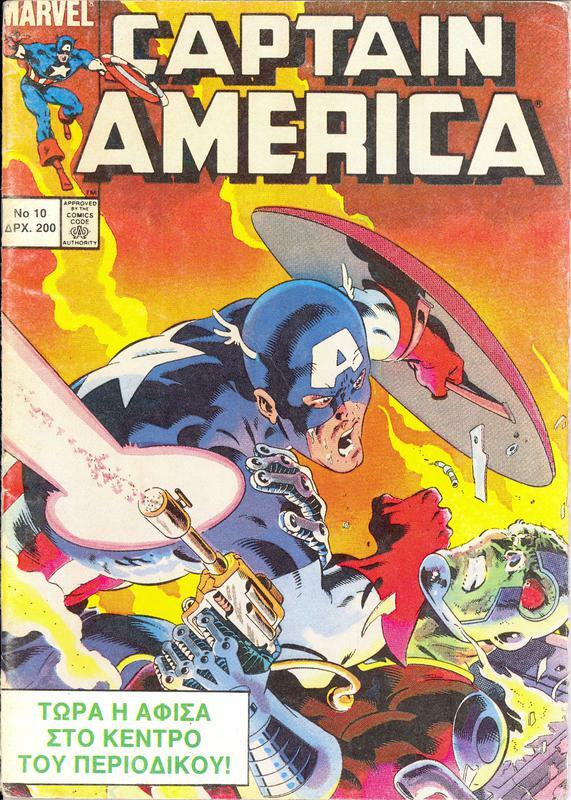 has never been more promoted than on the cover of this issue. 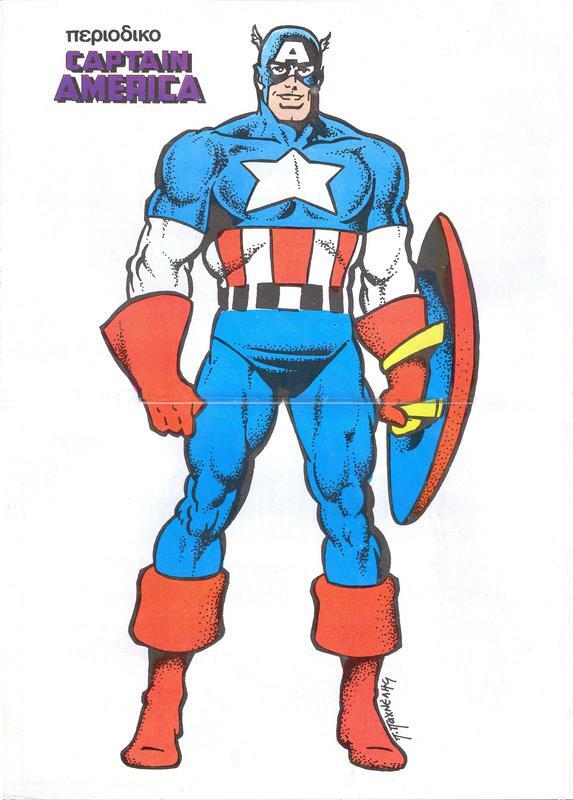 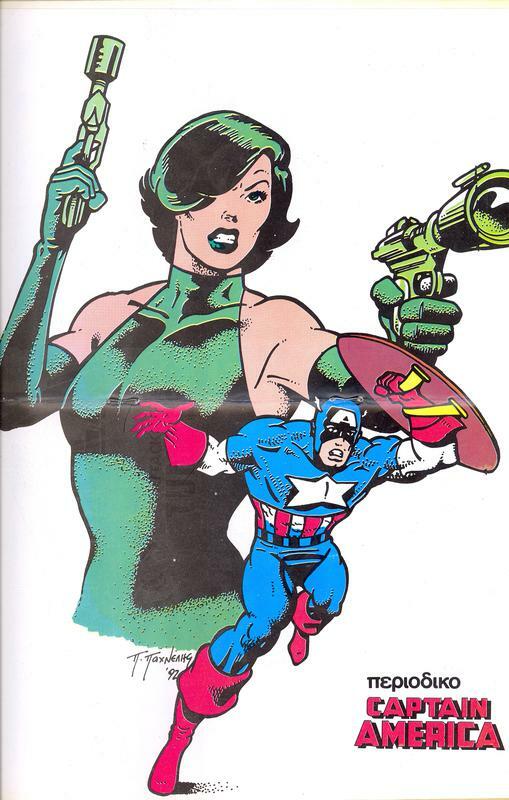 Just kidding, folks .. Cap doesn't care who sees his lipstick or not. 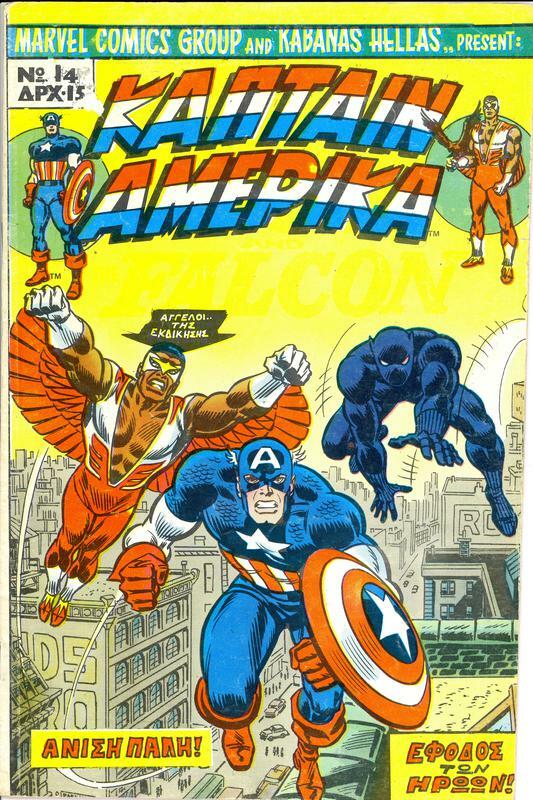 .. and so we come to the 1990's series. 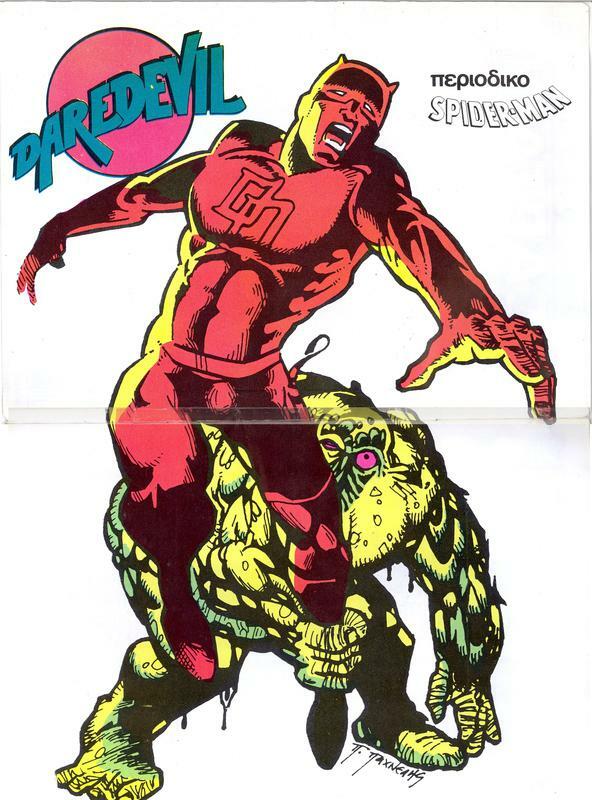 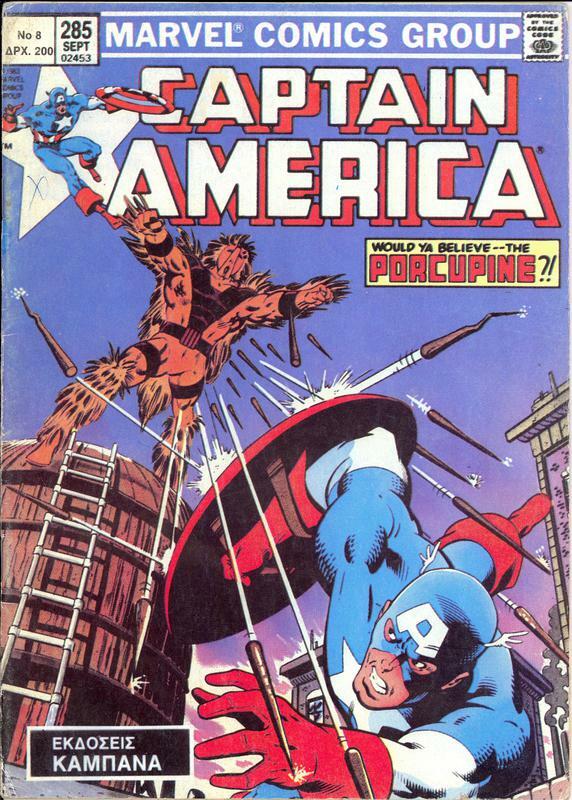 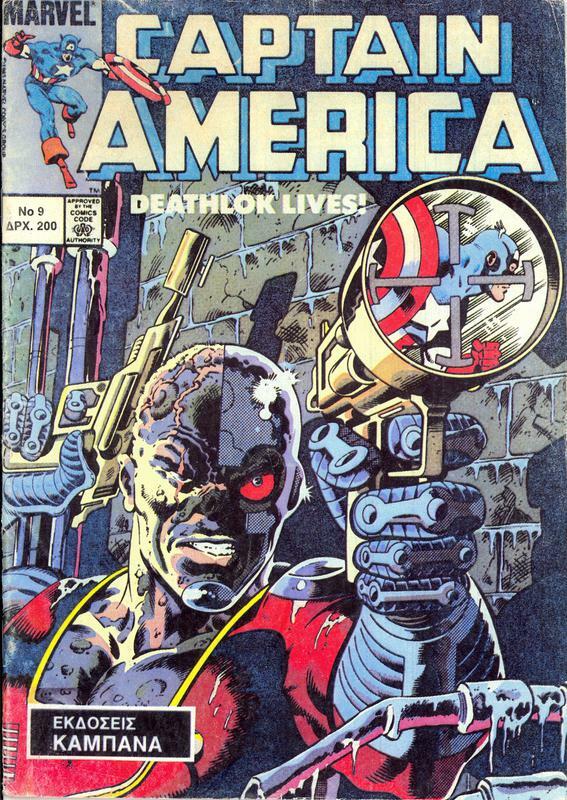 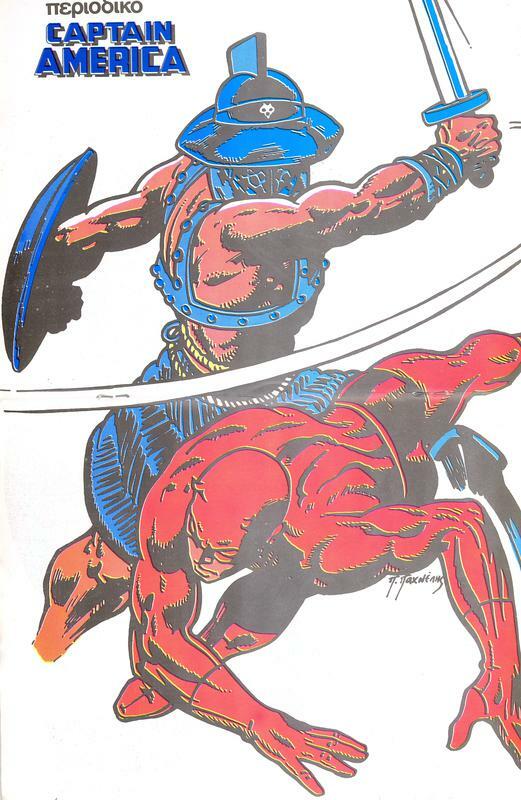 Only 14 issues were produced, with all issues having a poster. 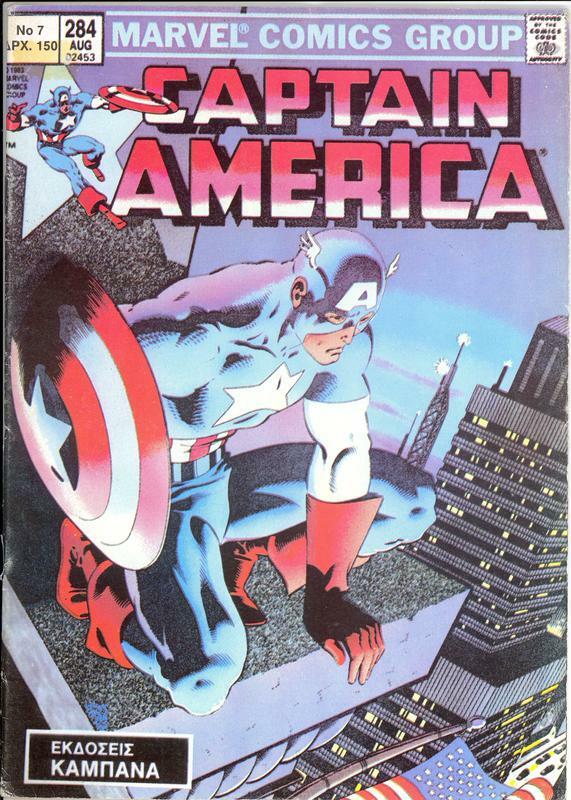 From #1 - #9, the posters were printed on the inside of the front cover (portraying the top image) and inside back cover (portraying the bottom image). 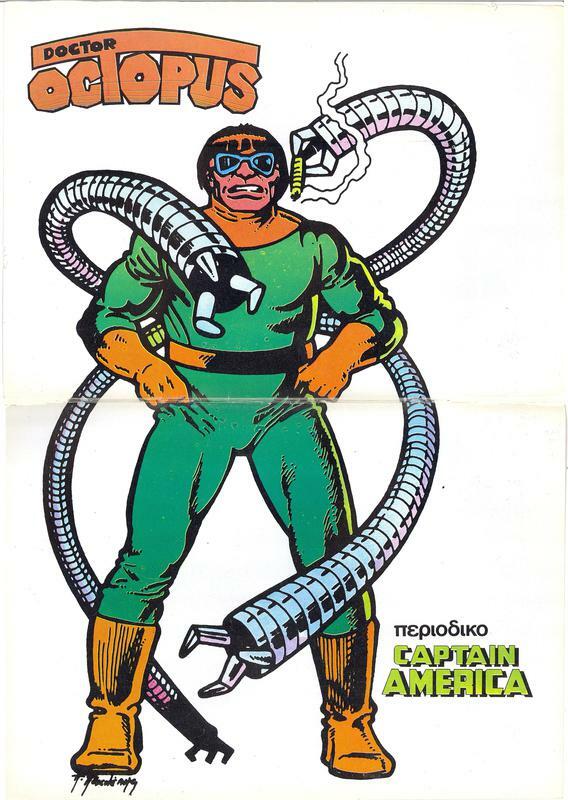 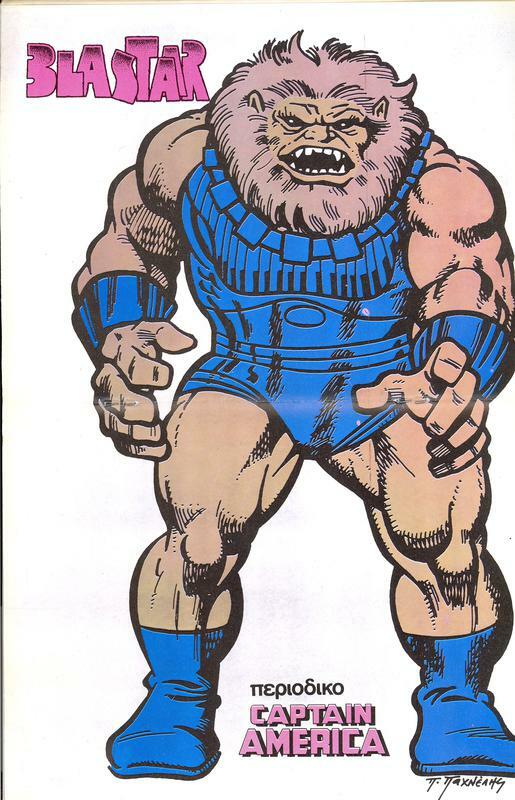 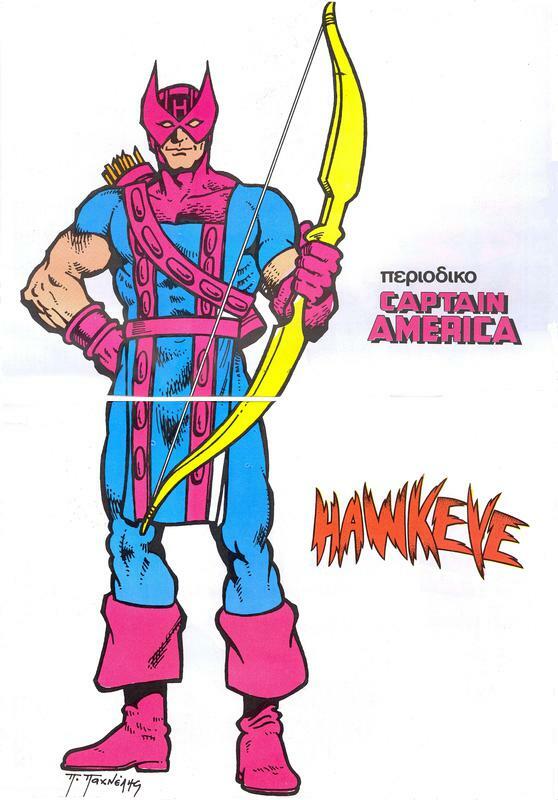 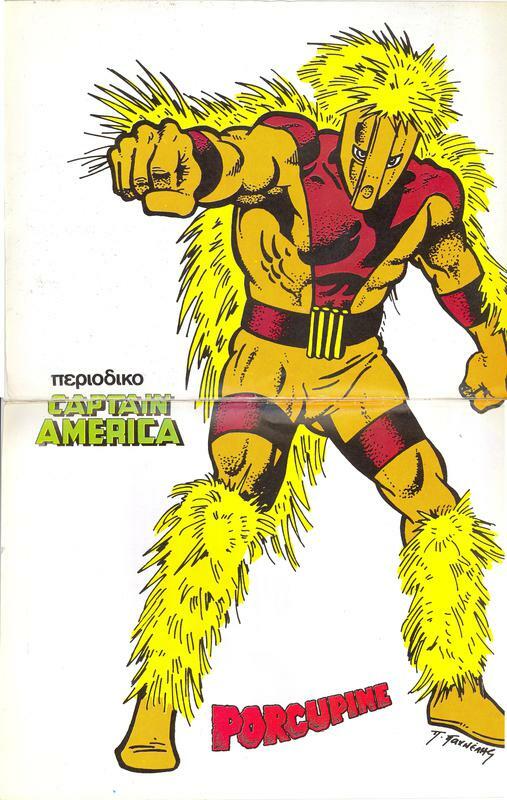 At issue #10, Kabanas Hellas did the sensible thing and put the poster in the middle of the comic, making it a centrefold. 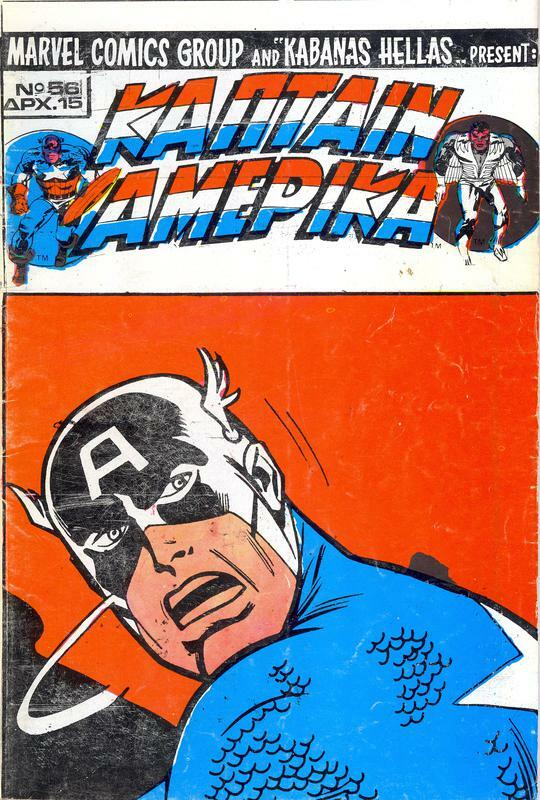 Wise move .. now the kids could pull them out and hang them on their bedroom walls. 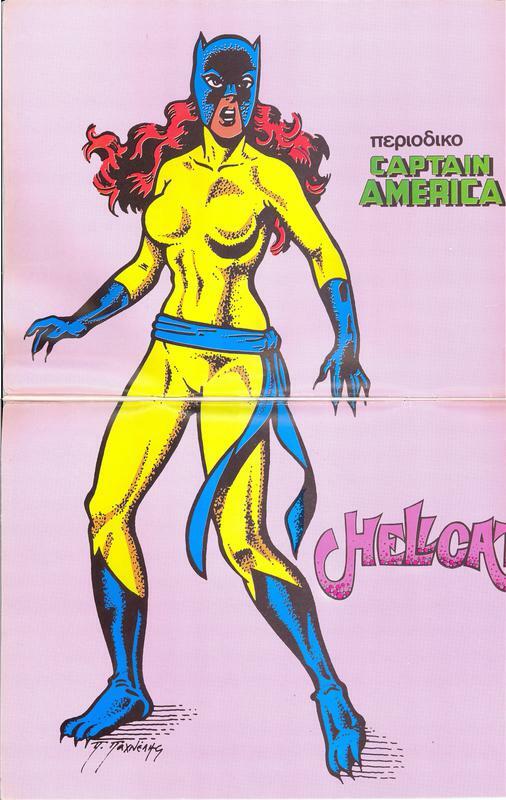 I've stitched together the posters from the first 9 issues and placed them here with the unstitched posters from #10 - #14. 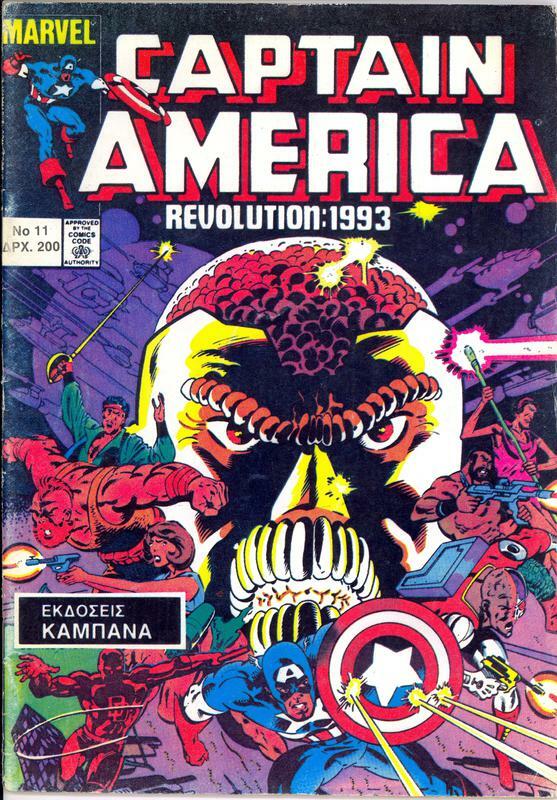 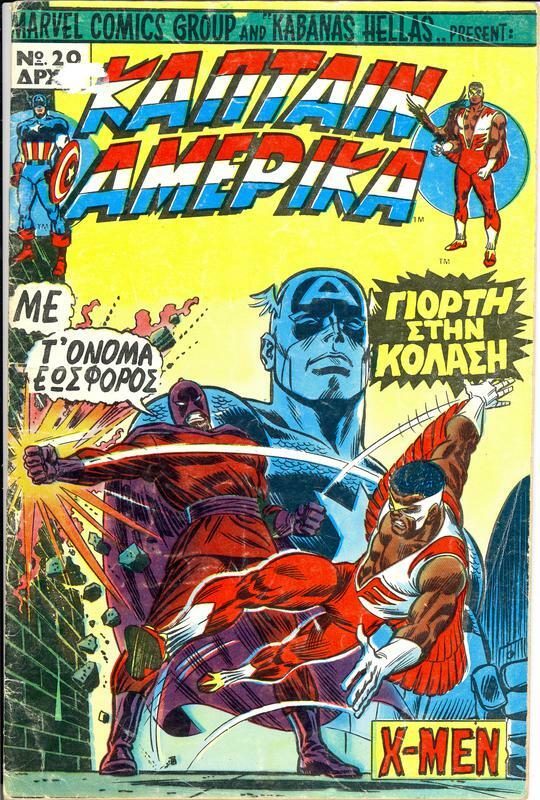 Another thing with the 1990's series is that the covers were virtually straight takes of the U.S. issues, apart from the Grecian text of course. 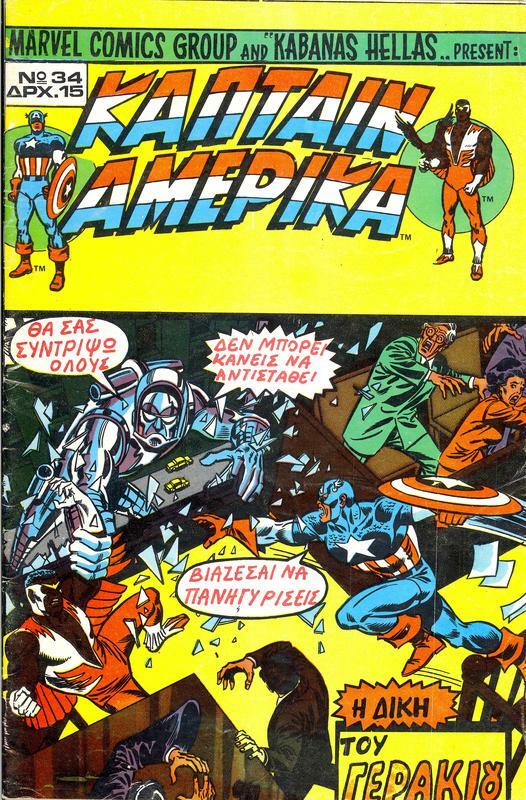 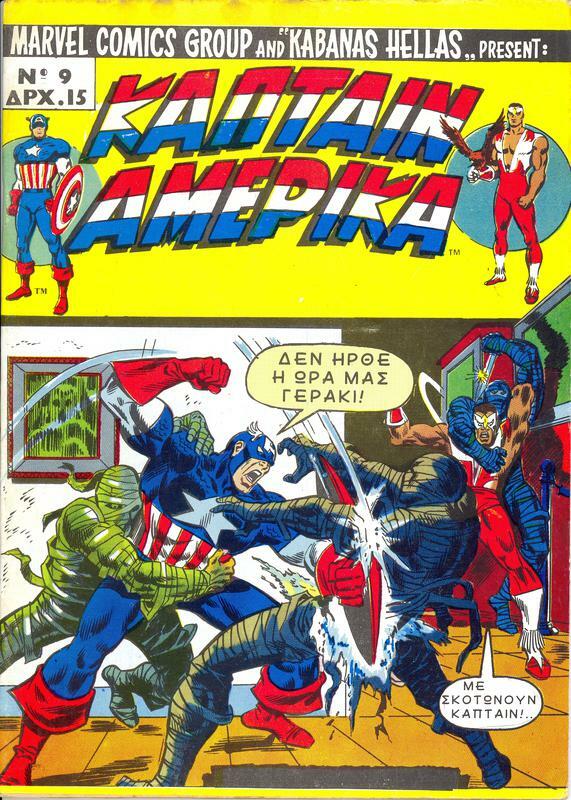 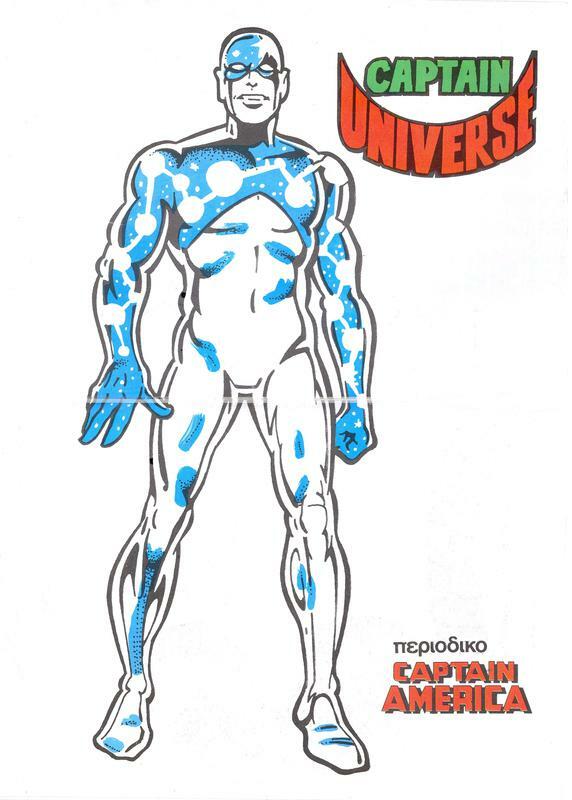 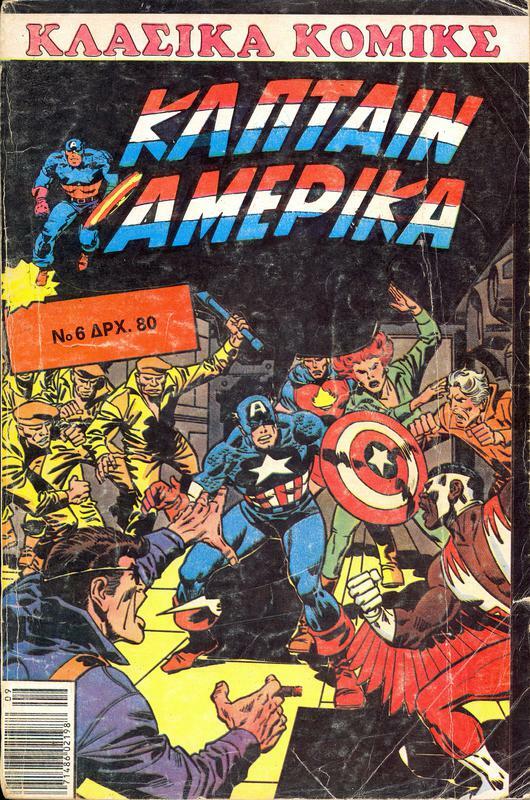 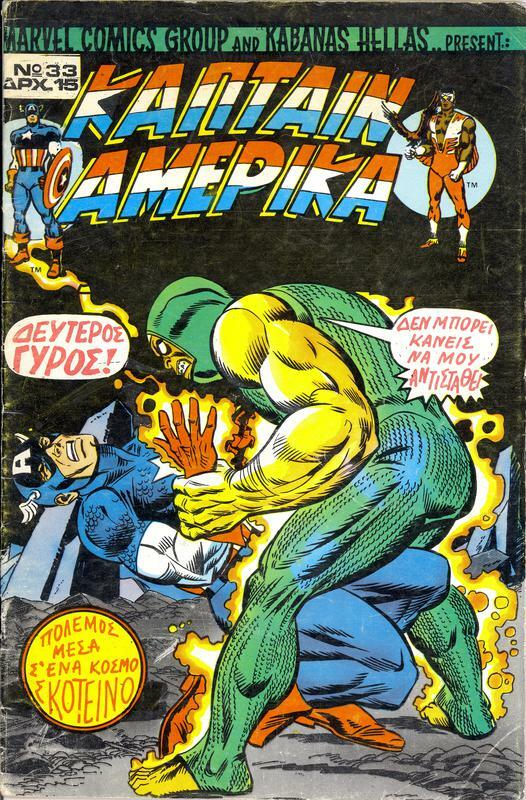 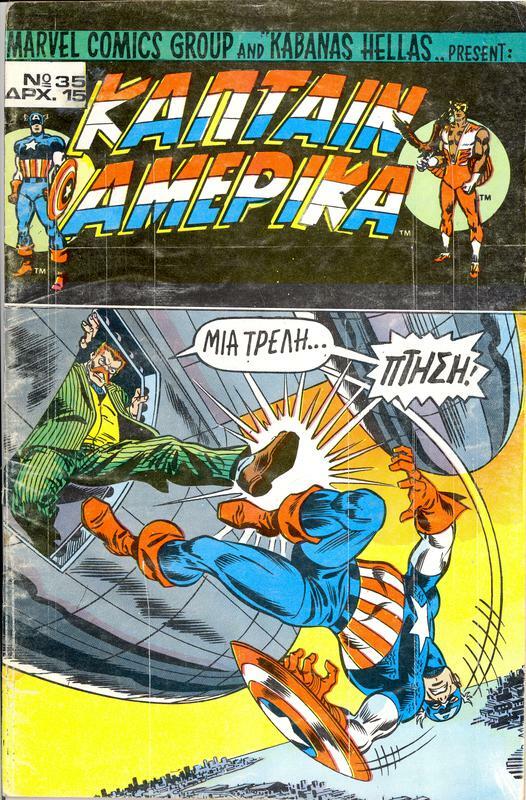 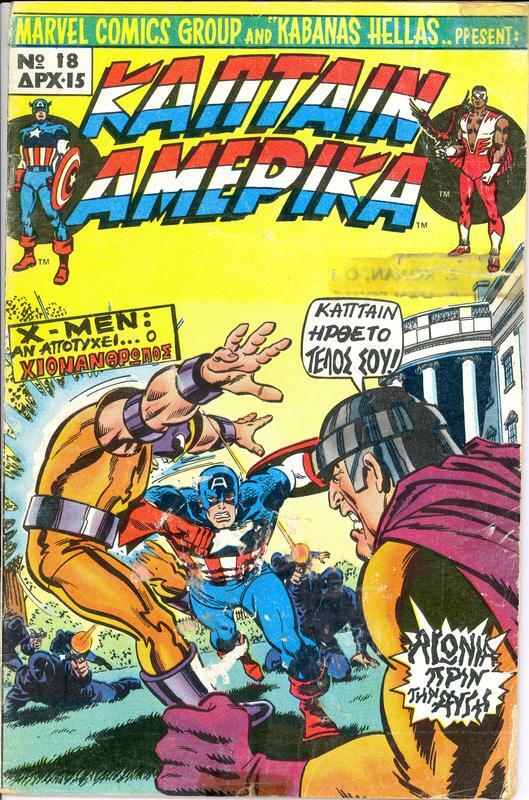 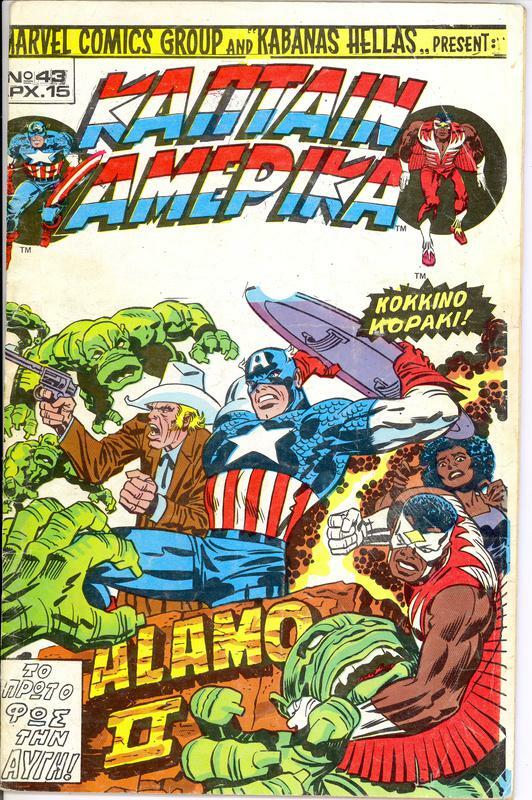 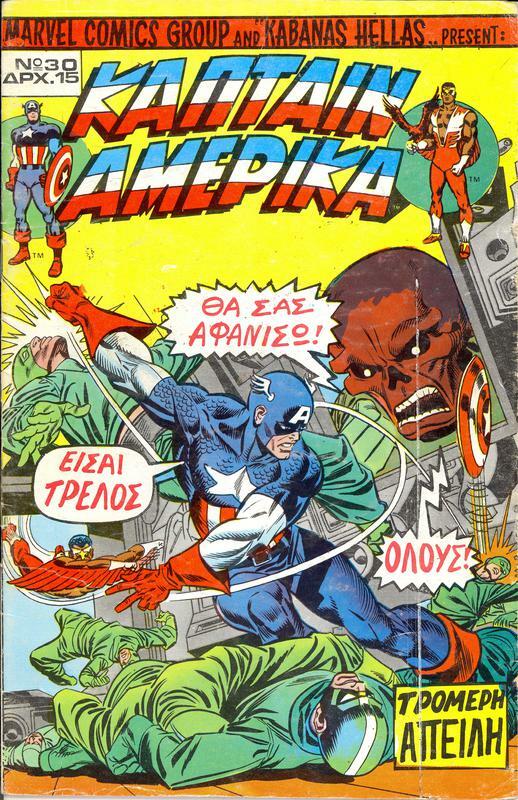 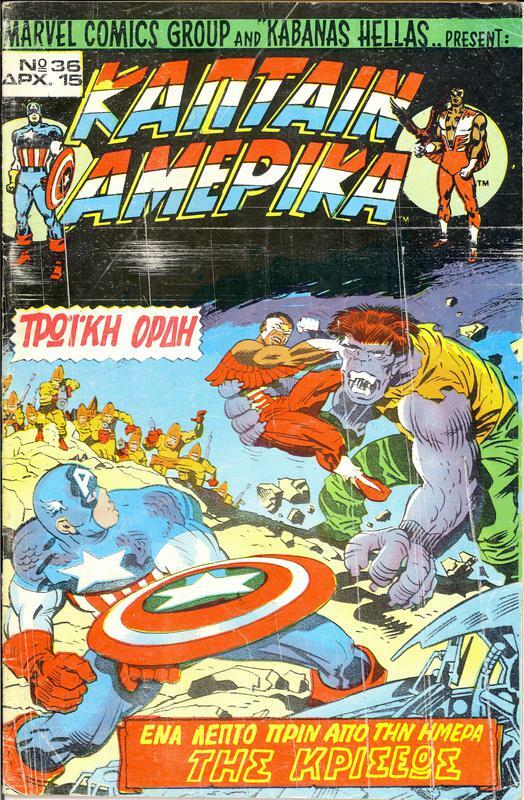 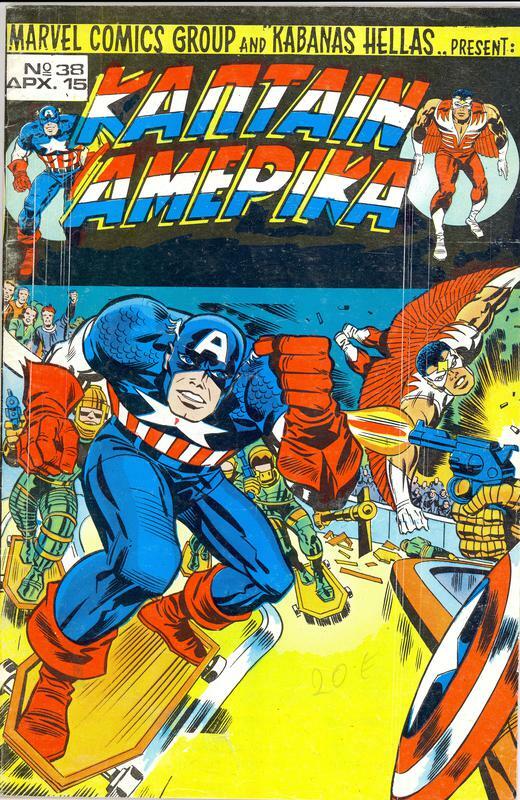 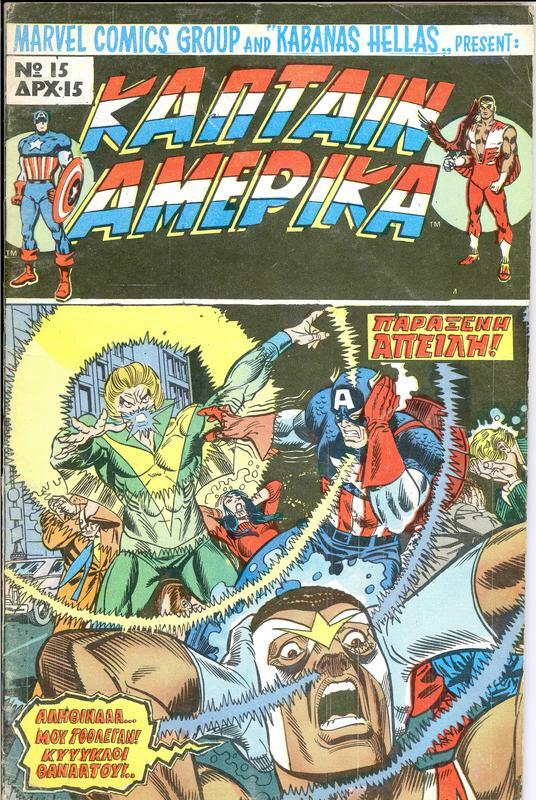 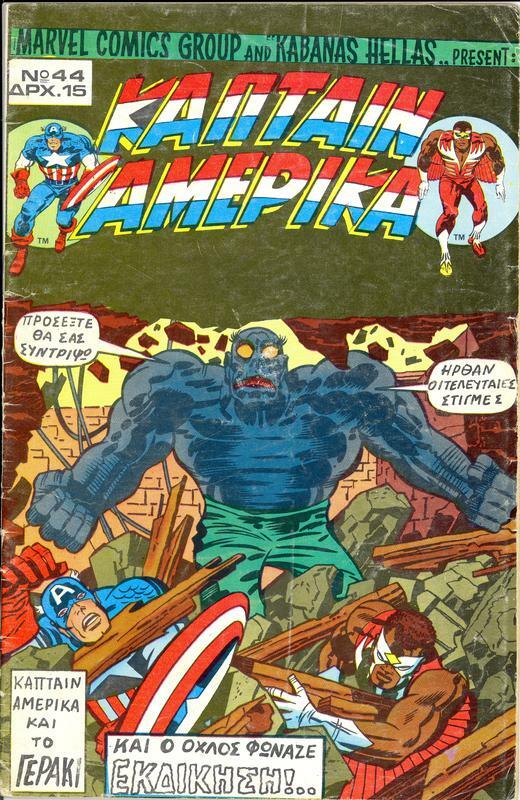 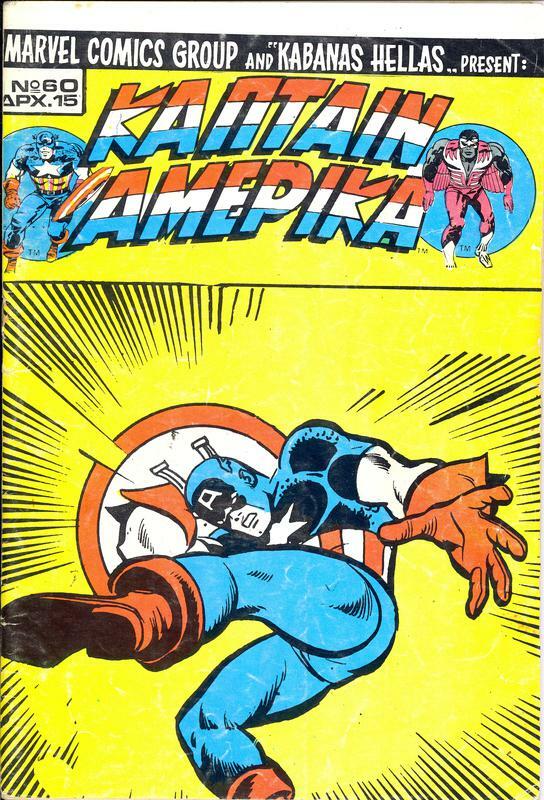 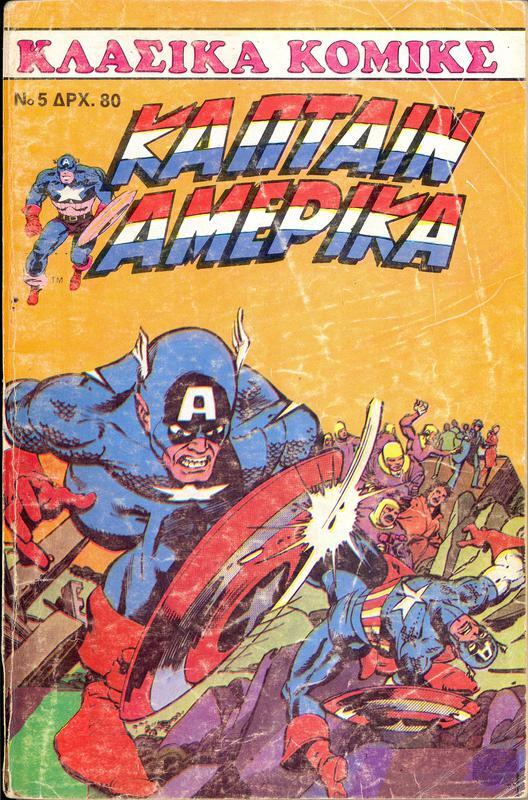 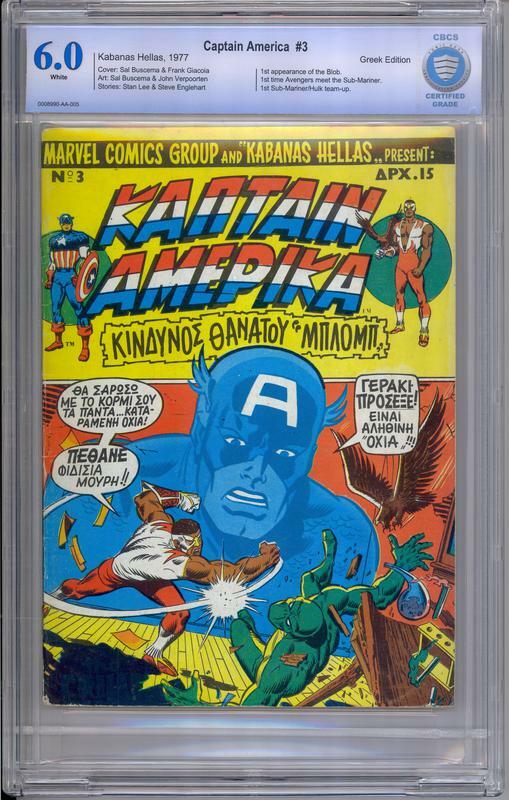 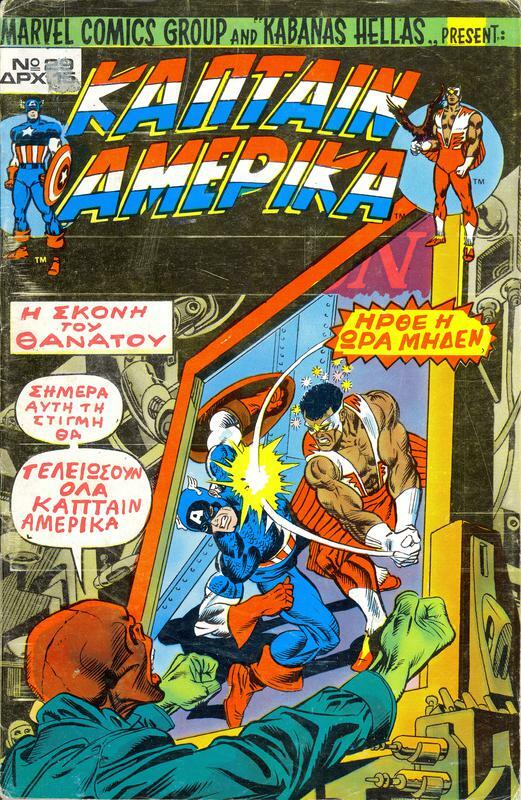 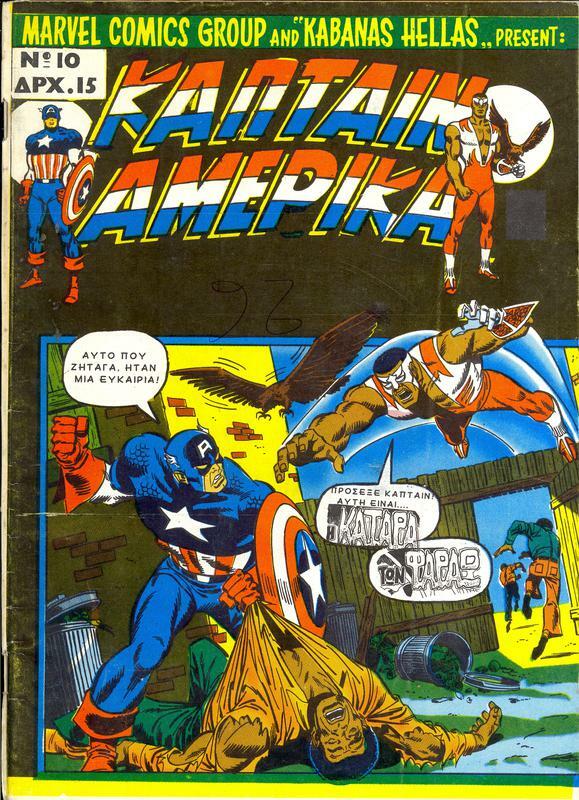 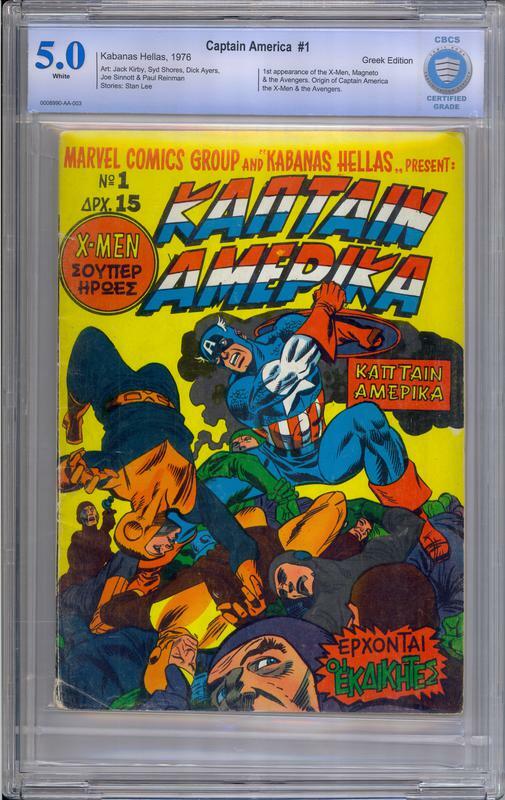 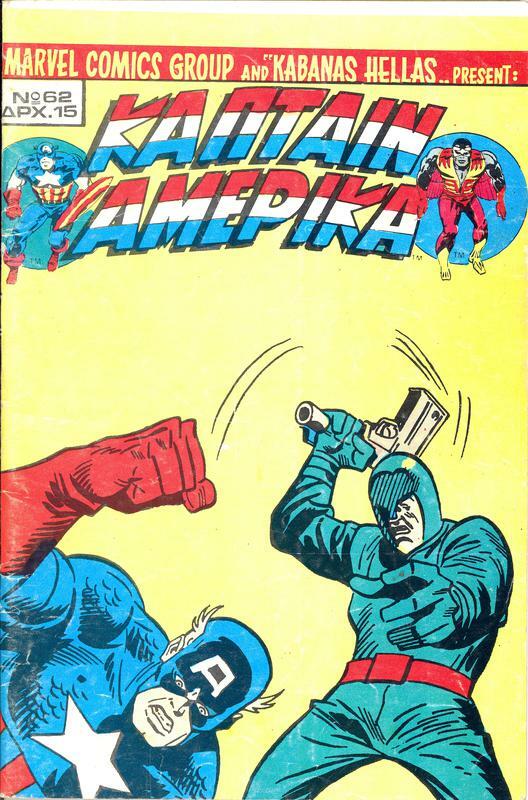 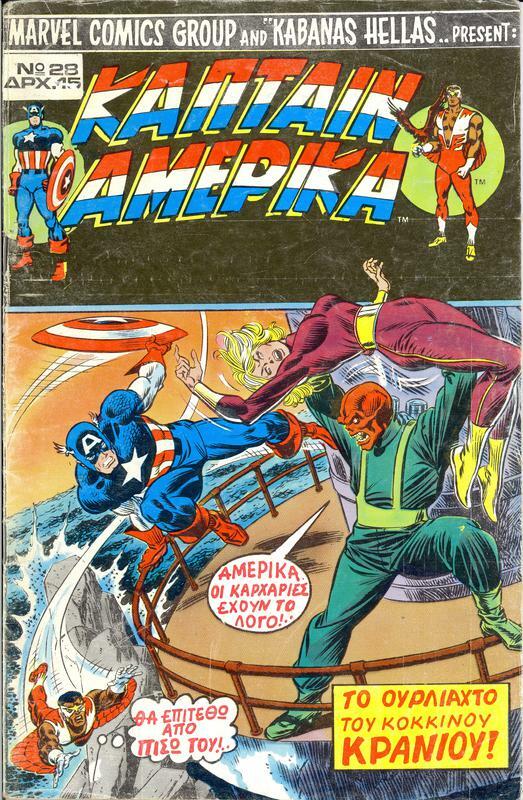 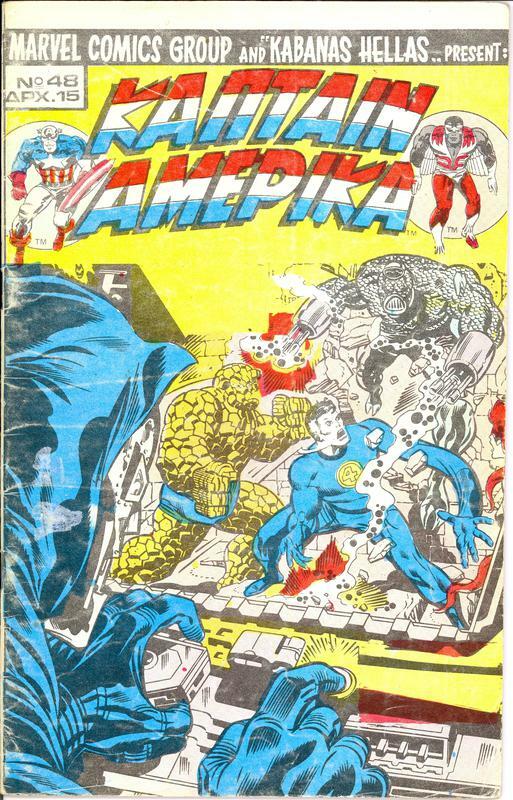 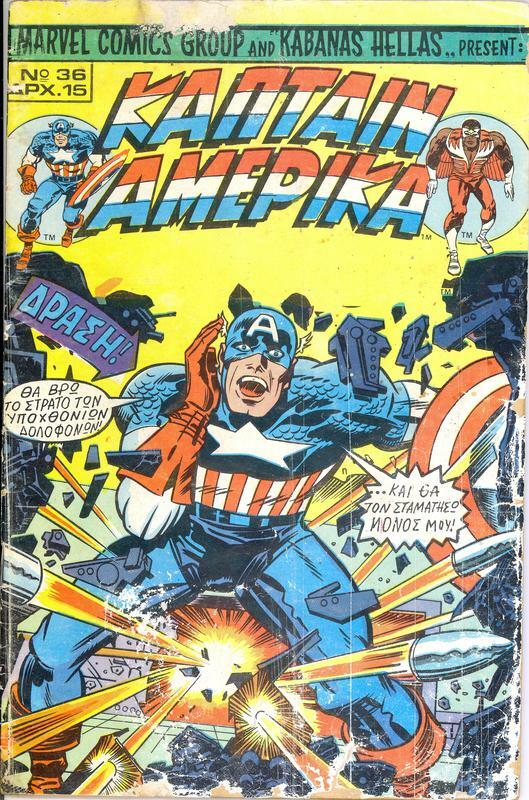 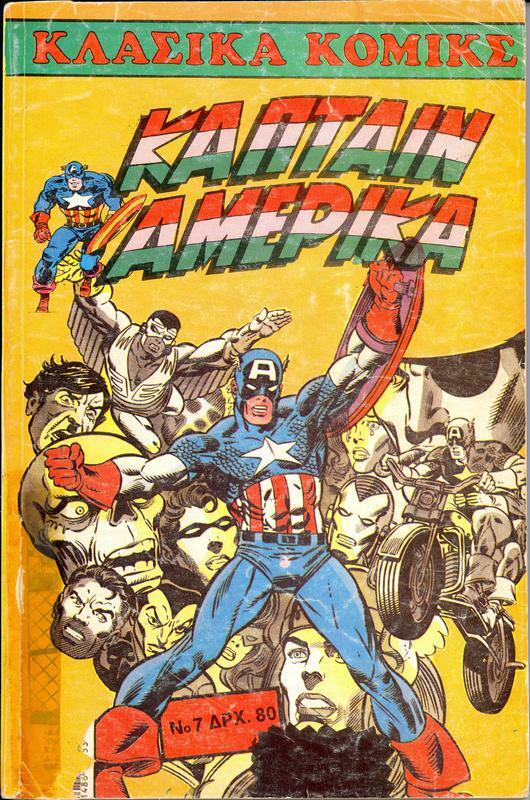 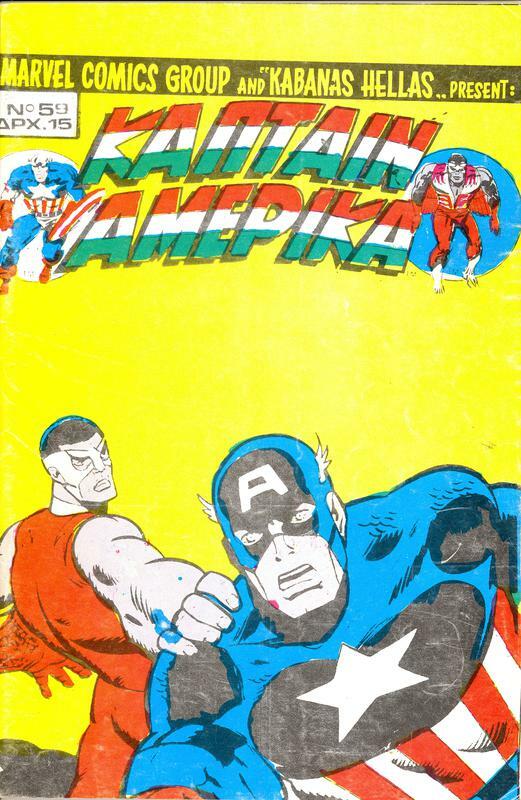 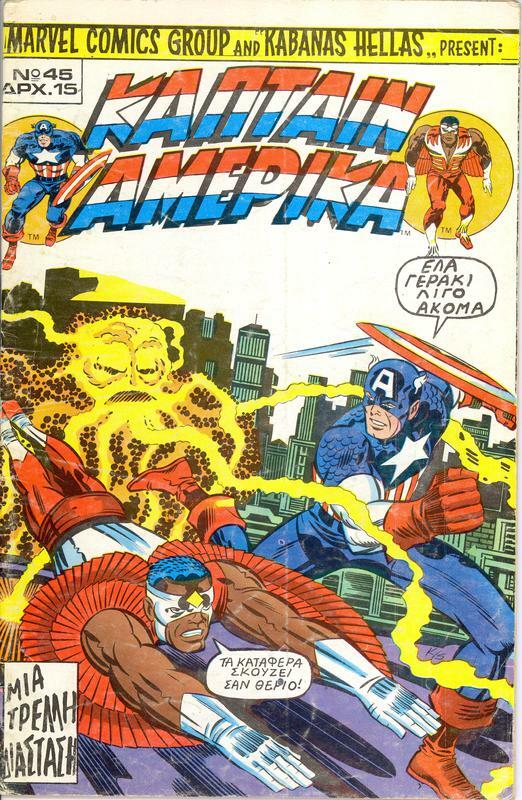 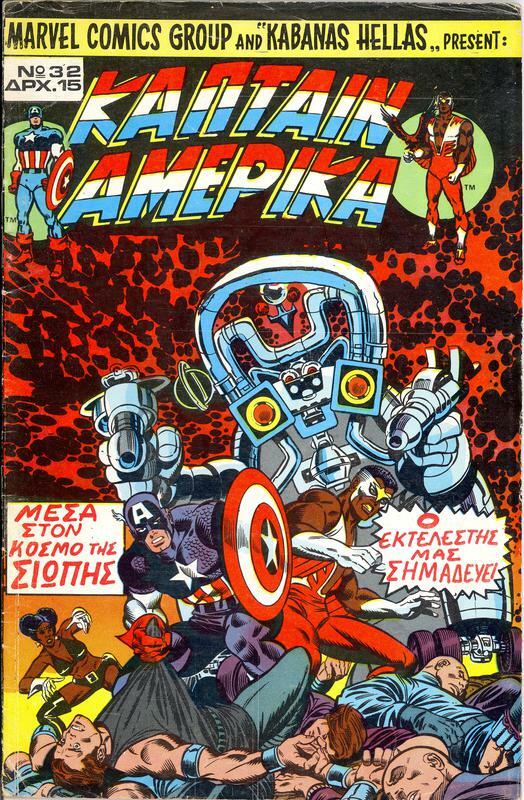 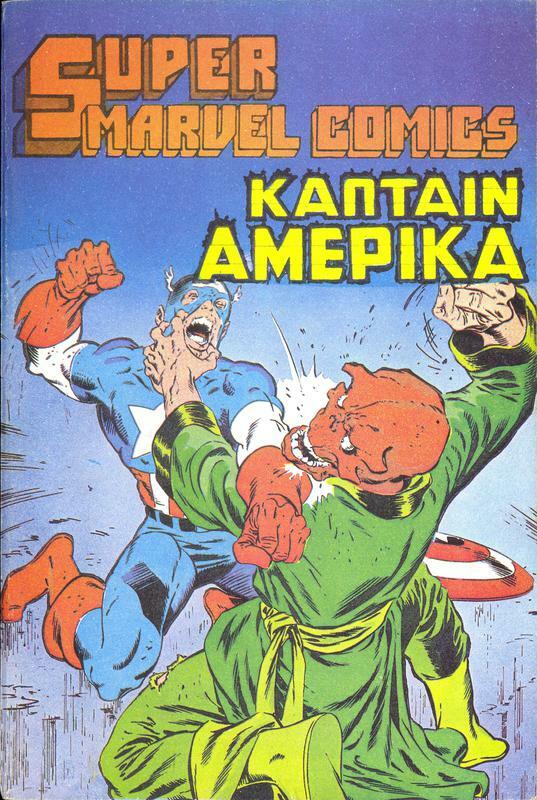 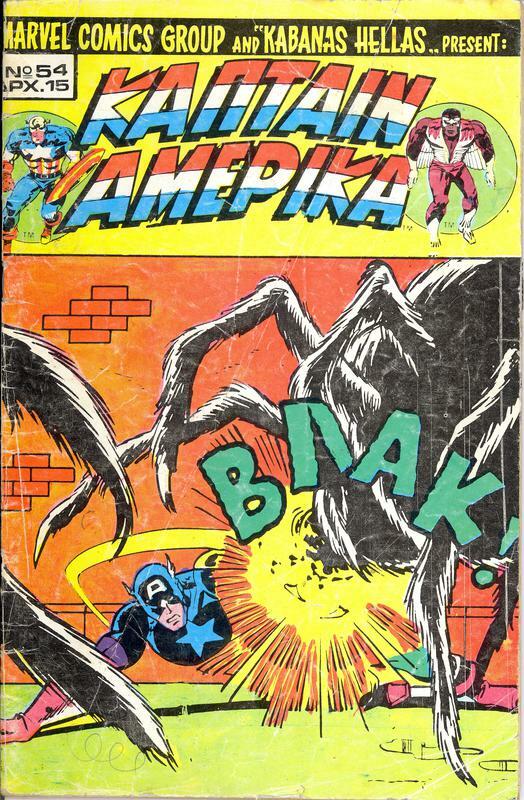 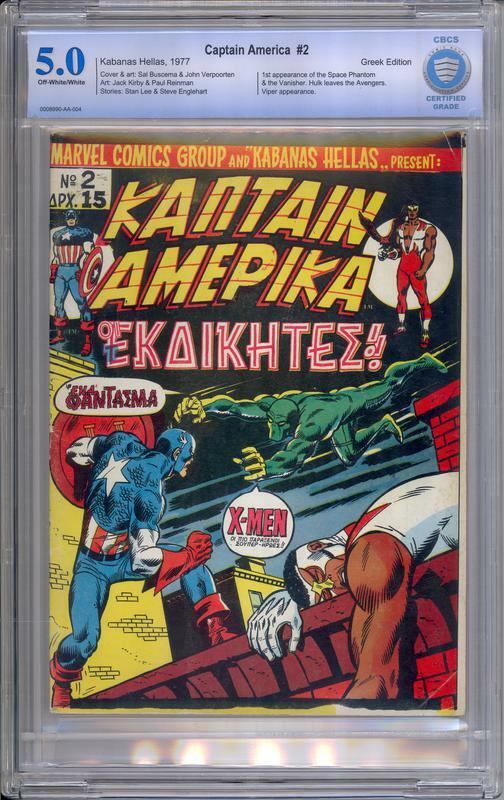 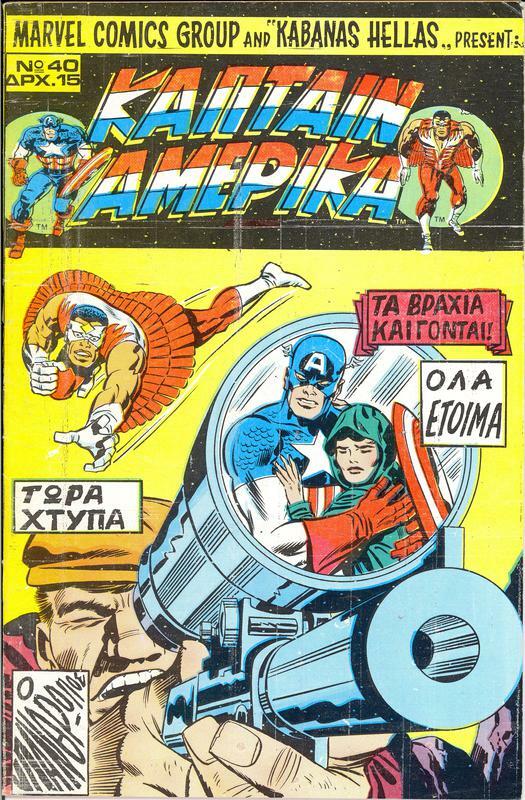 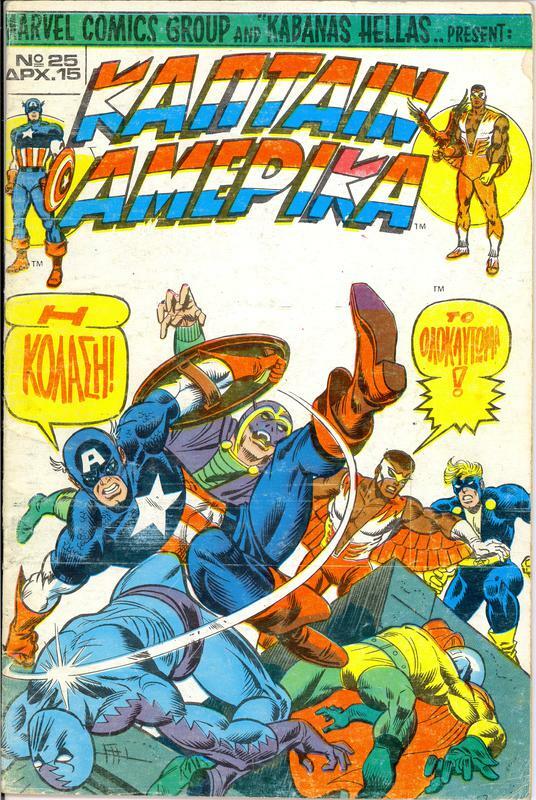 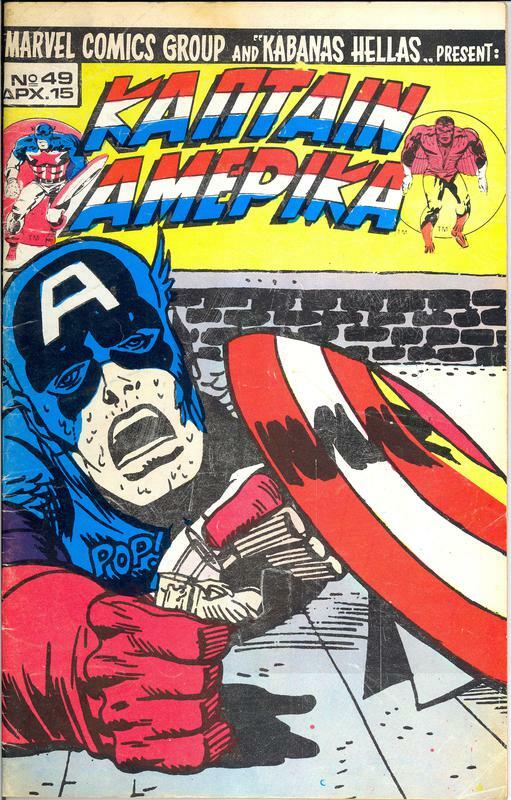 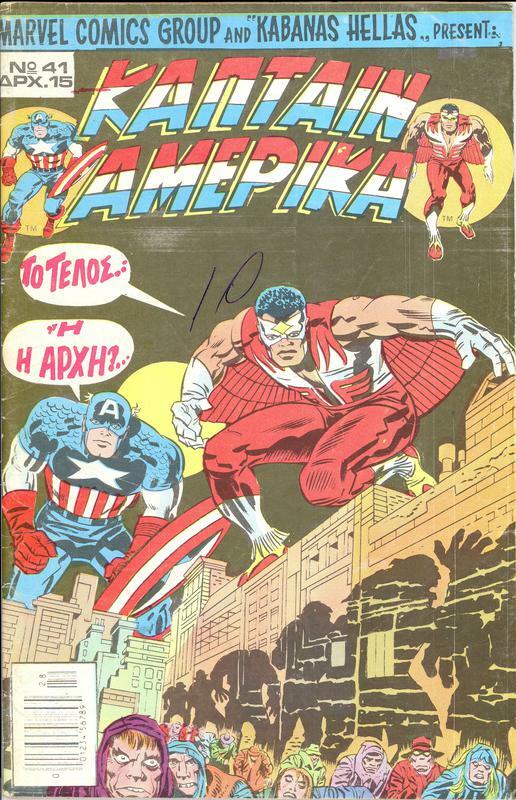 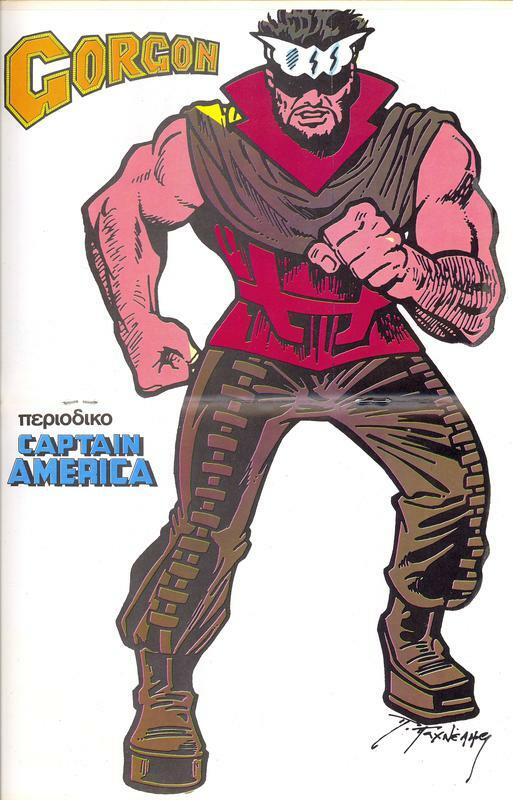 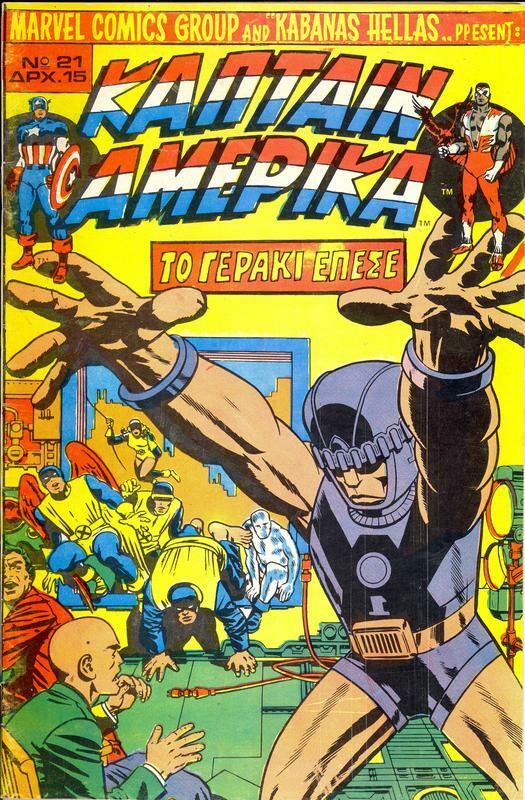 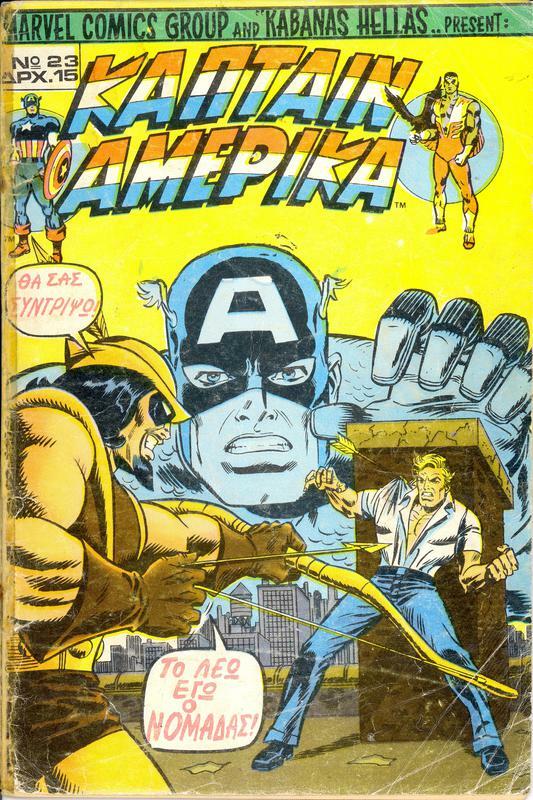 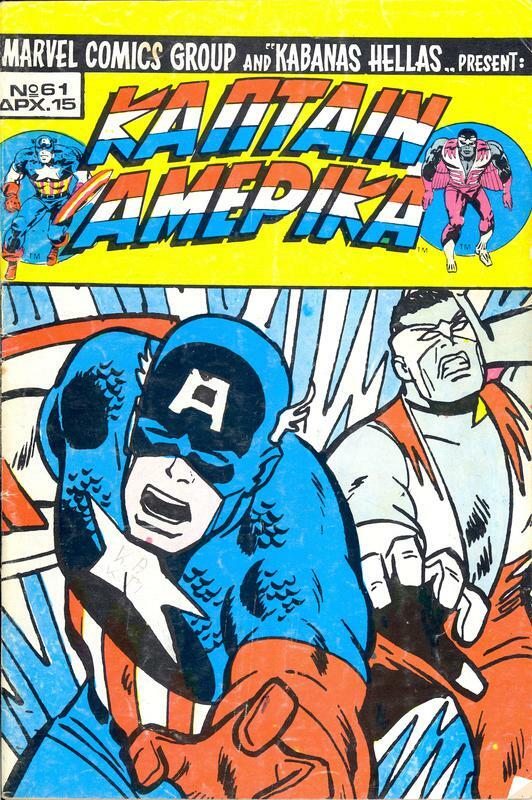 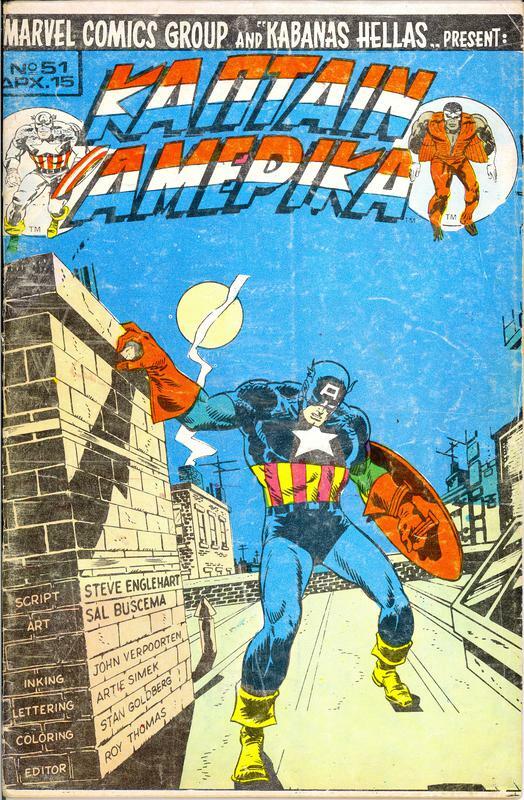 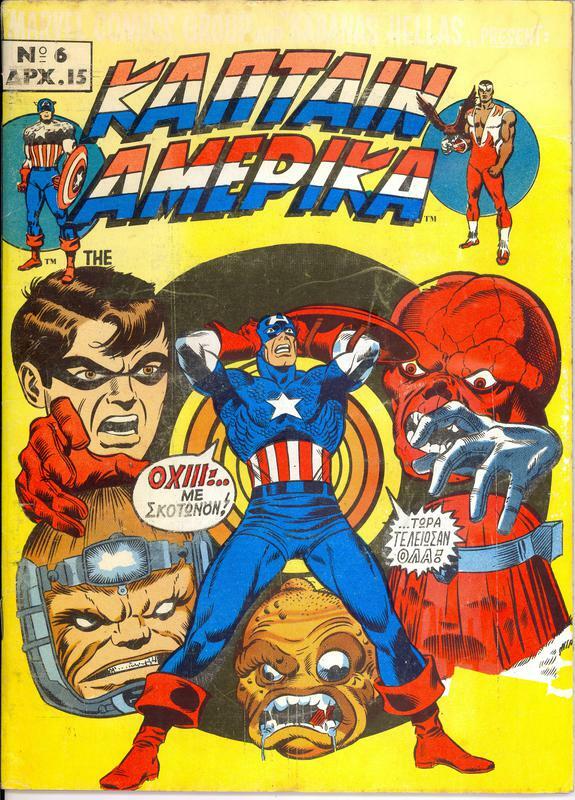 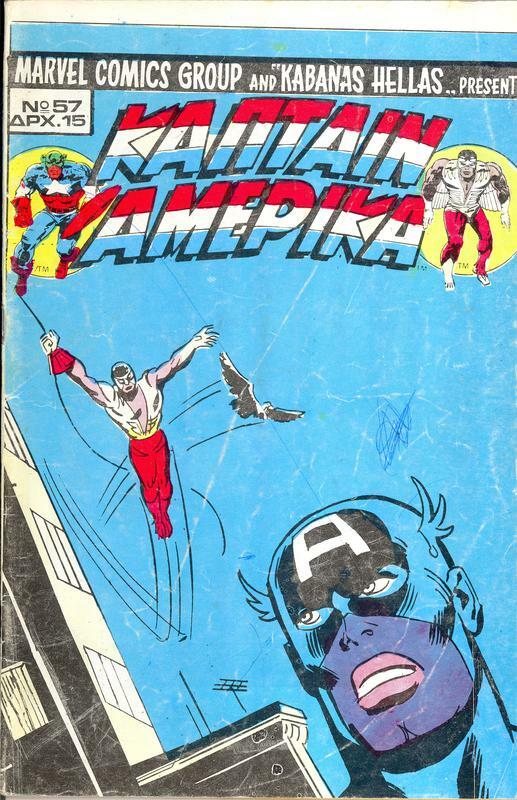 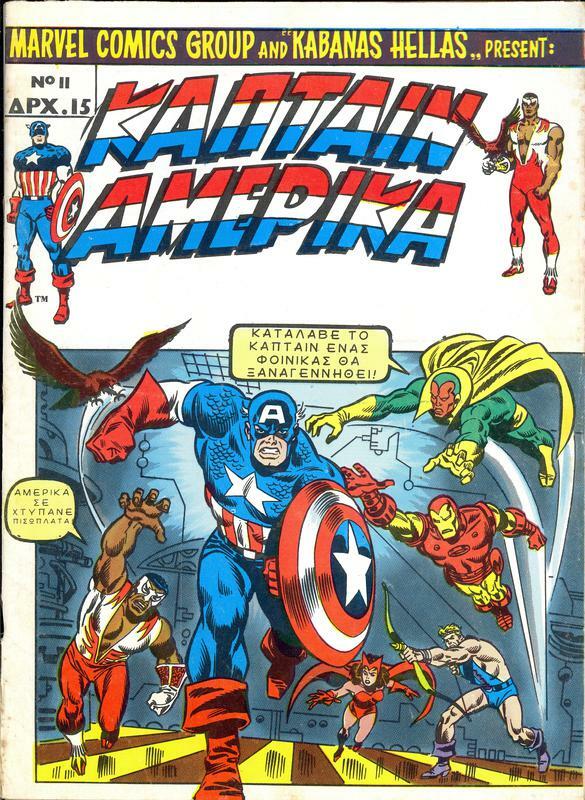 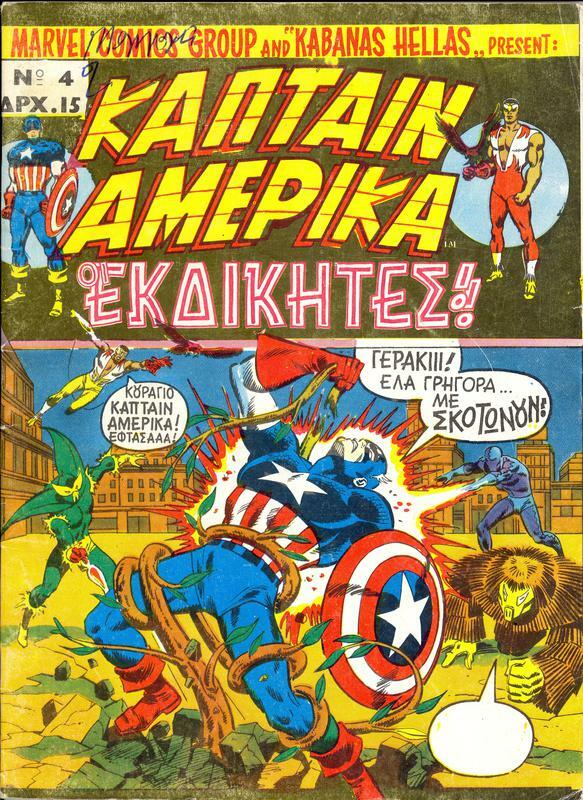 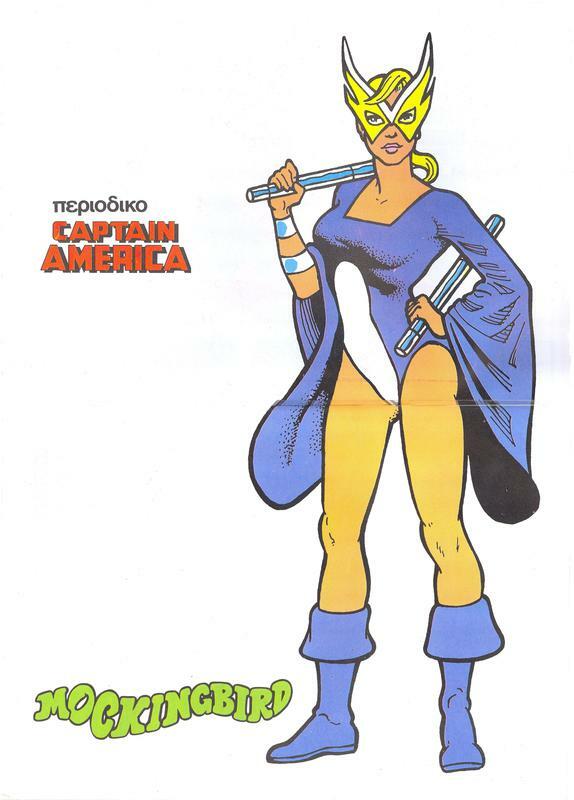 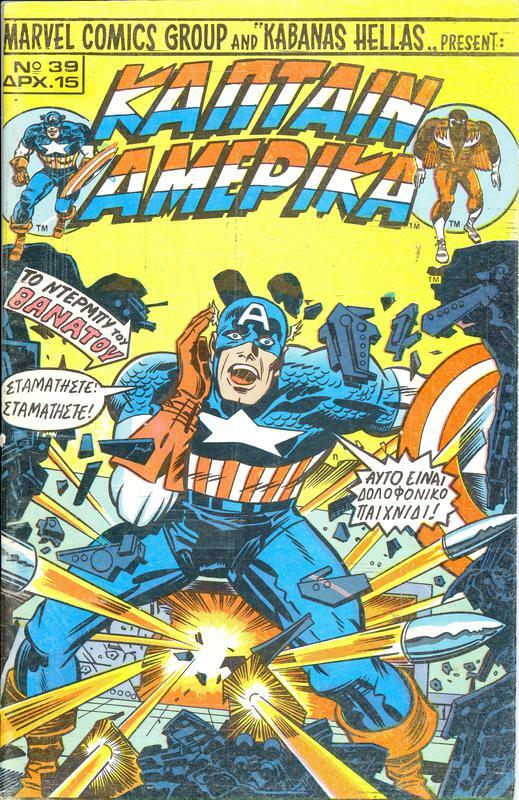 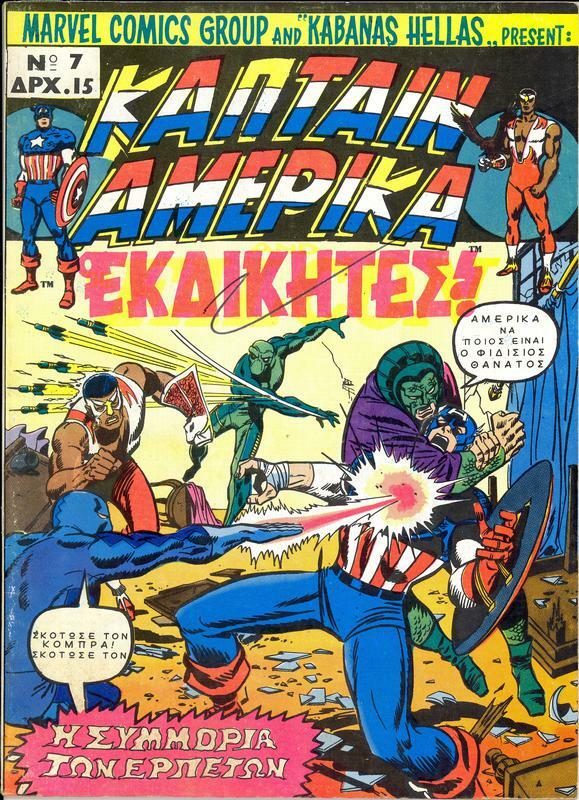 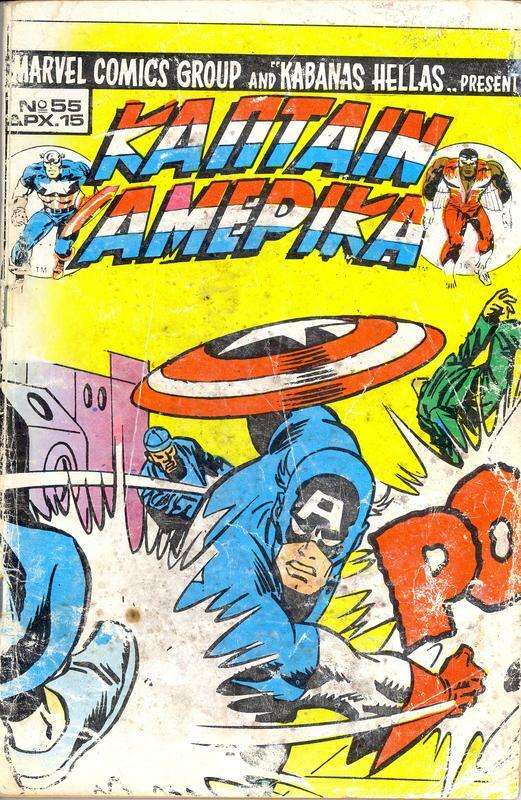 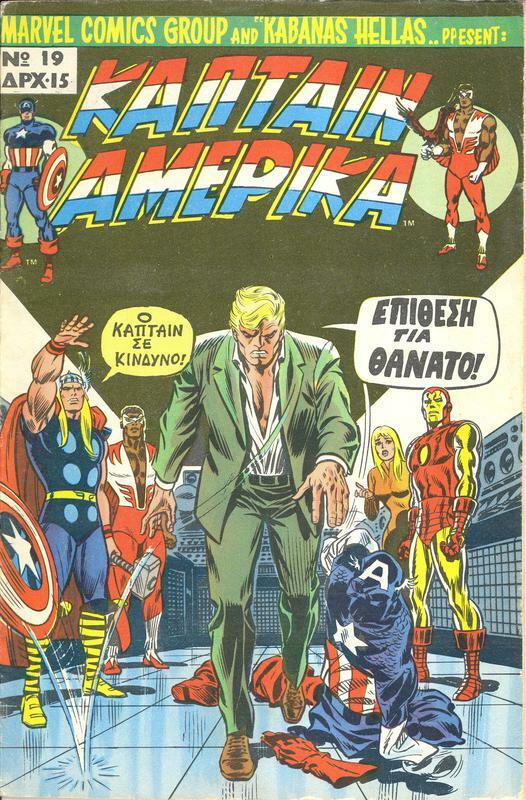 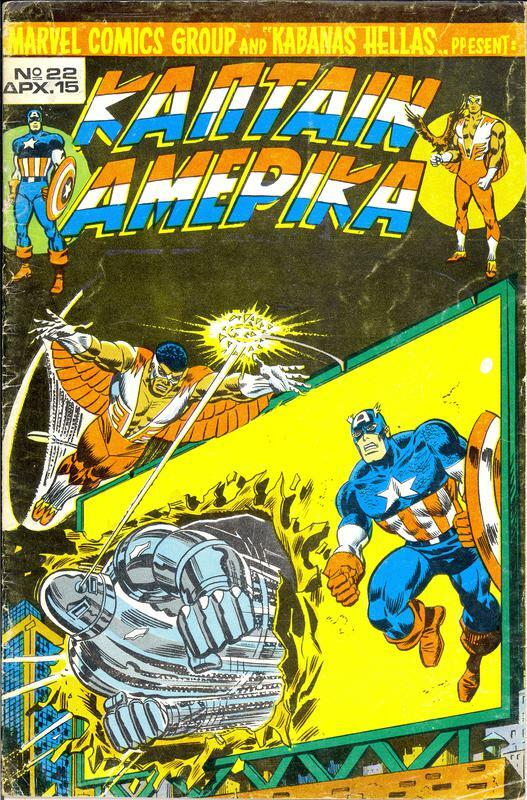 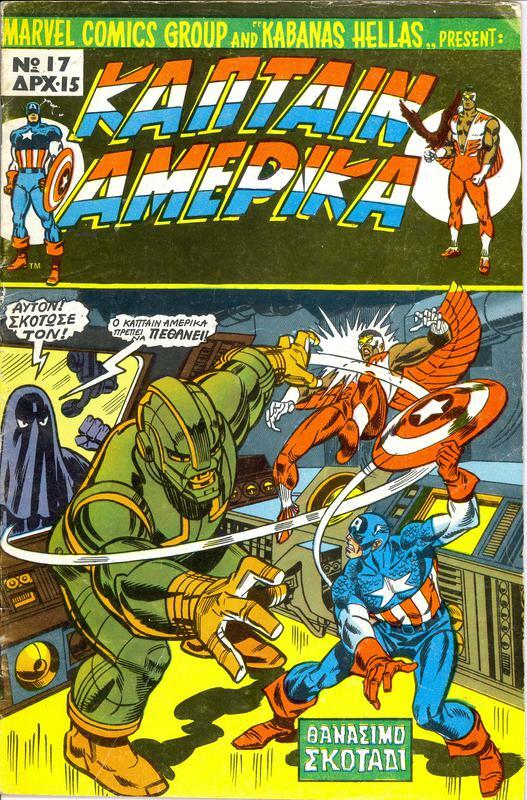 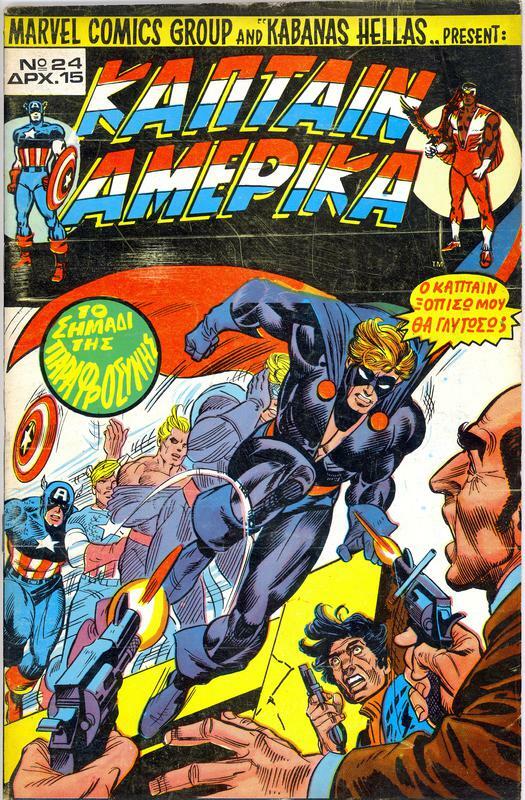 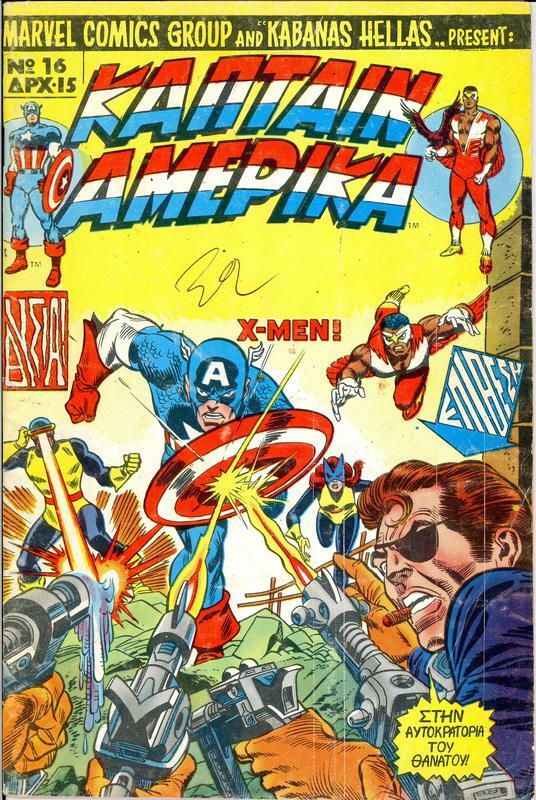 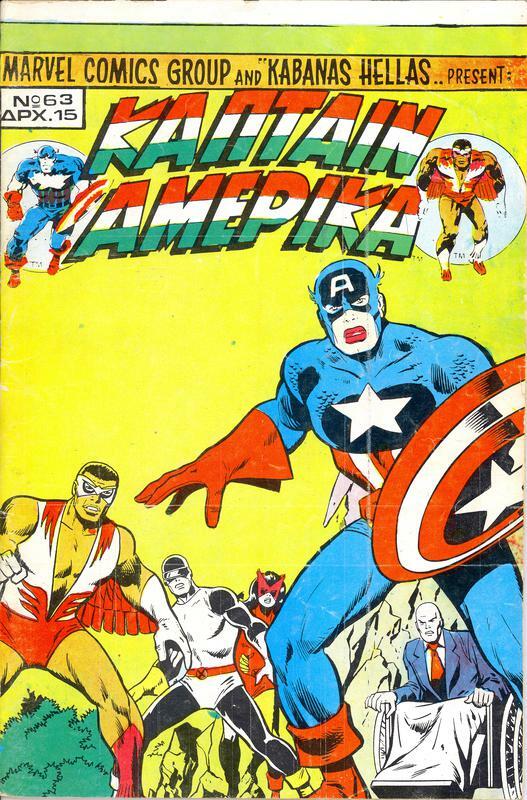 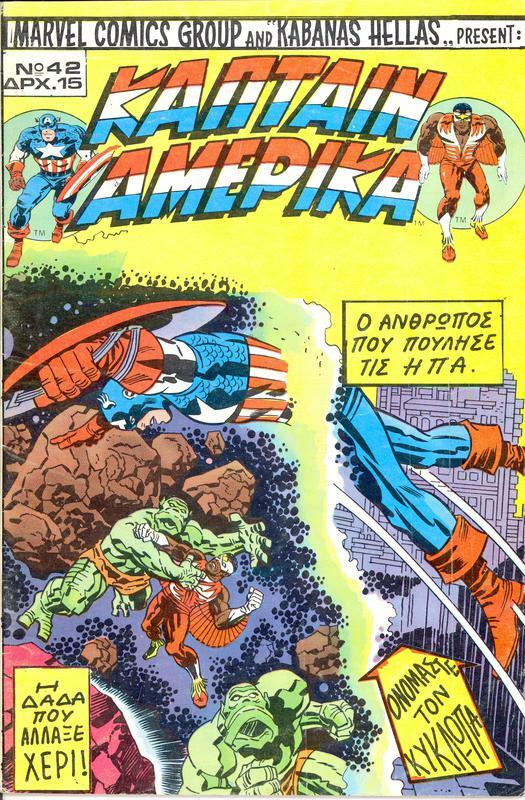 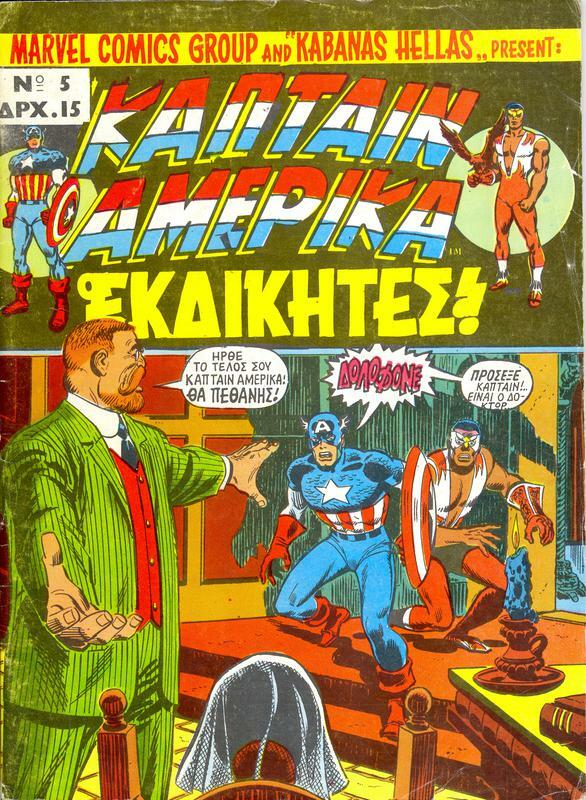 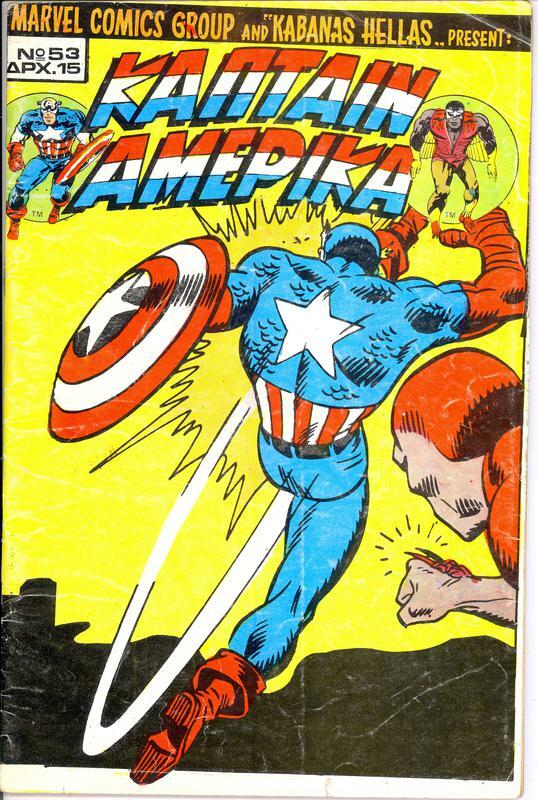 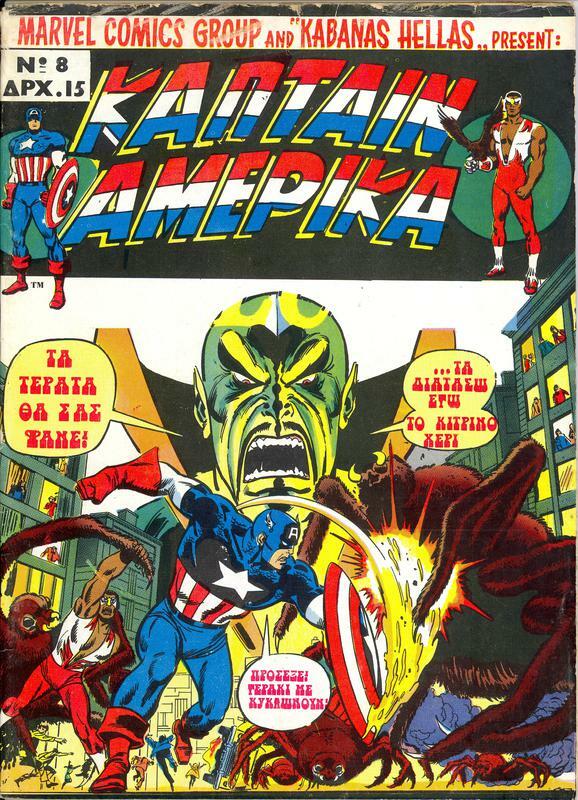 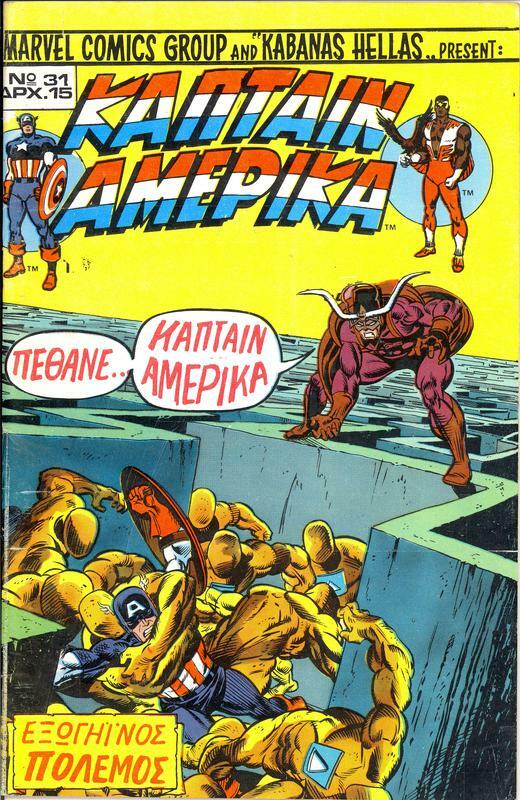 This differs markedly from the 1970's issues, where Kabanas Hellas took incredible liberties with the covers (especially near the end of the run) as inside-panels were lifted in their entirety and new covers were made from them.